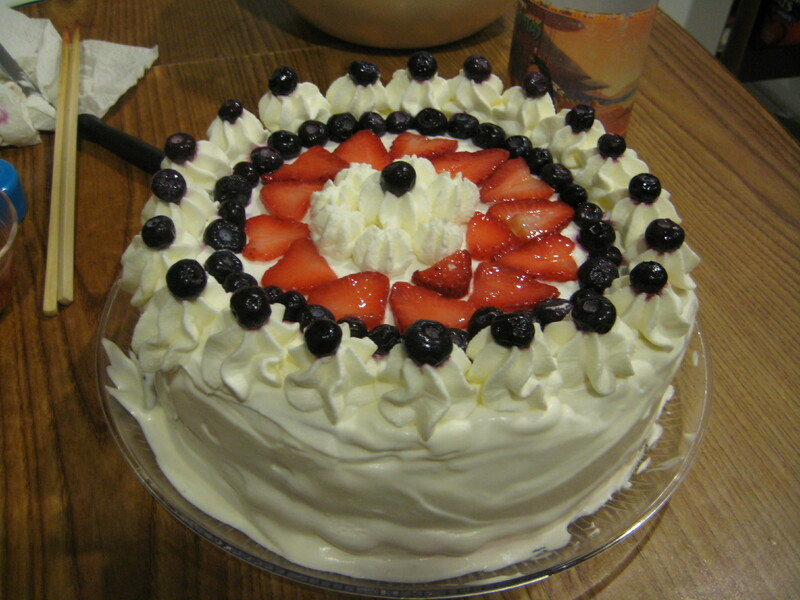 I racked my brain for ideas on what dessert to make on July 4th for the past 3 months and I finally got some sense of what to make. 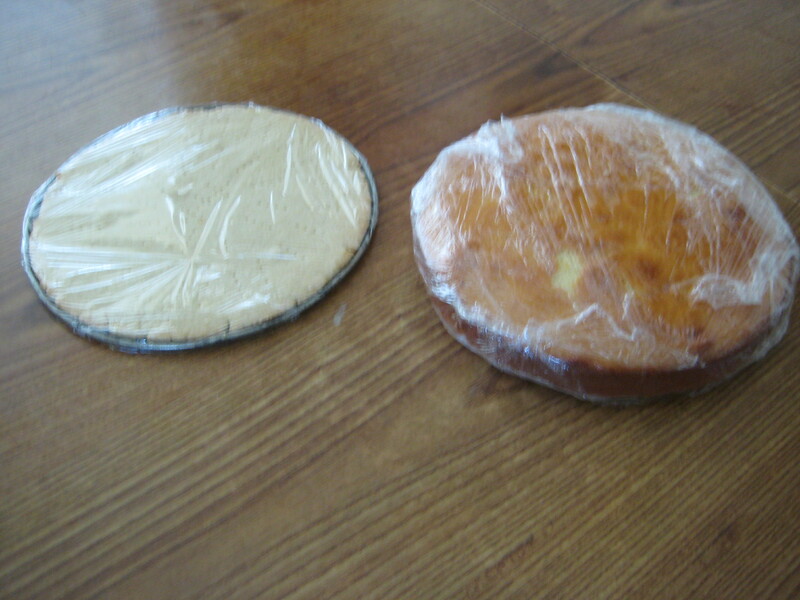 I figured I could make a cake, but not my usual cheesecake. 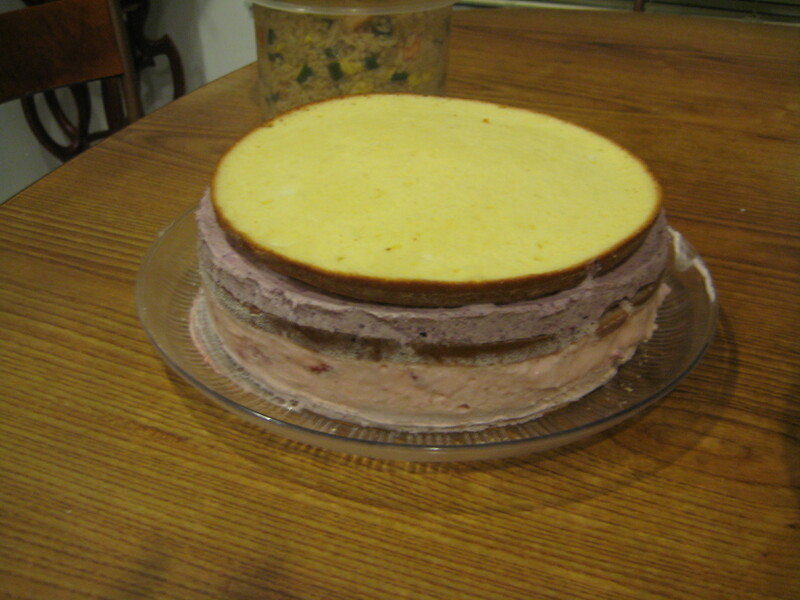 I wanted to make a mousse filled layered cake. 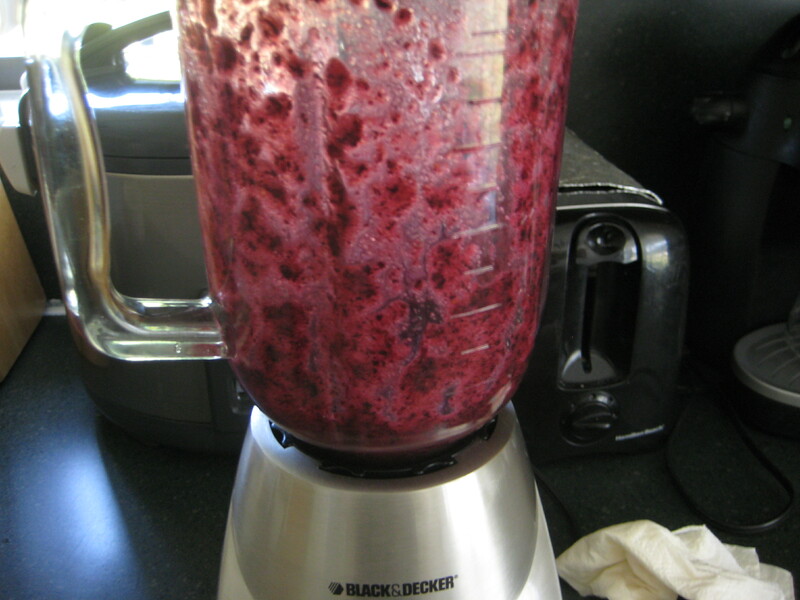 Now for July 4th I want it to color coordinate. 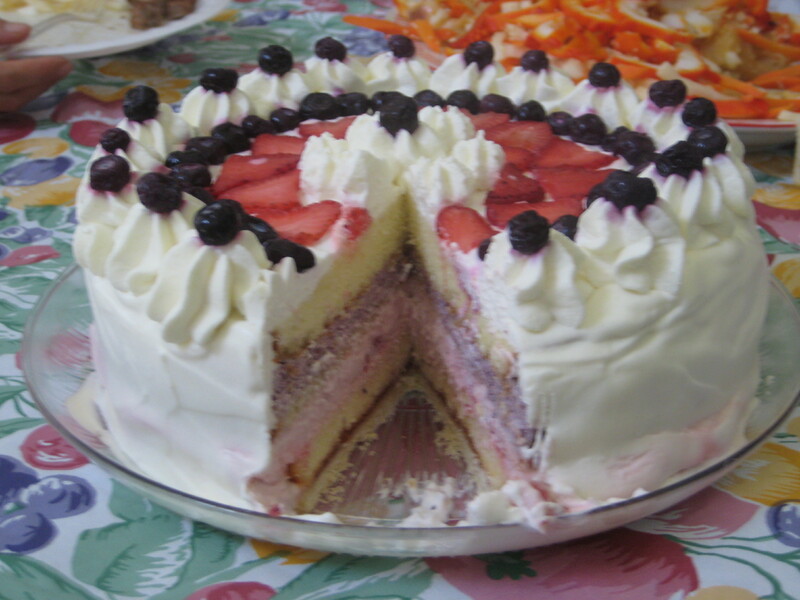 Red, white, and blue. 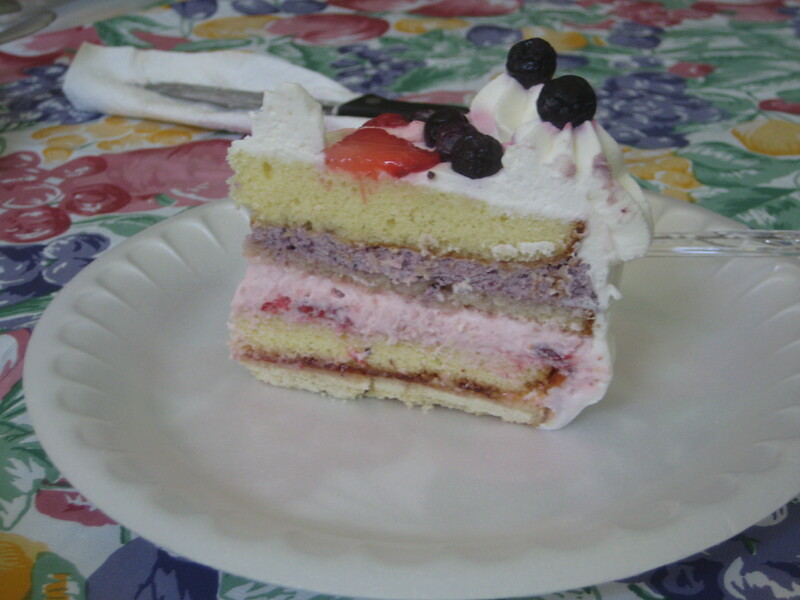 So a white cake, a layer of strawberry mousse, and a layer of blueberry mousse. 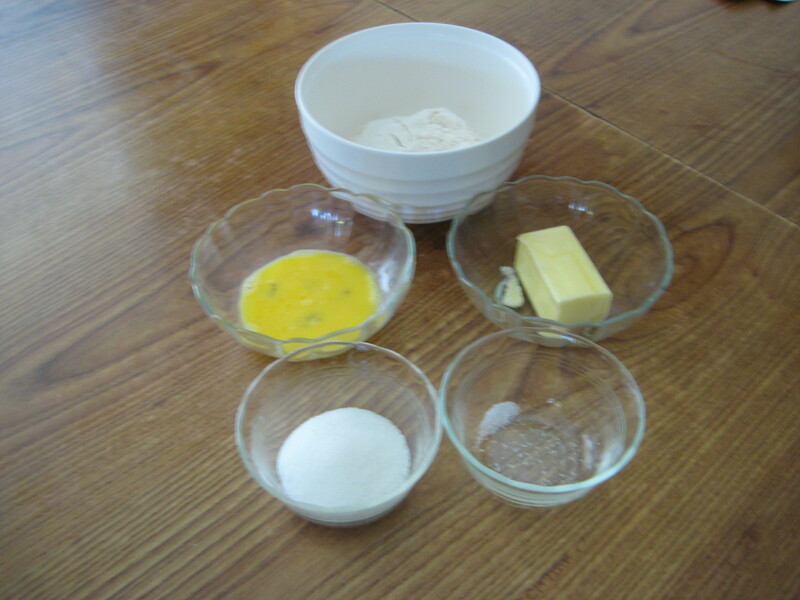 The hard part will be to figure out how to make all of this without getting in my dad’s way when he begins preparing the rest of the food for the annual July 4th party. 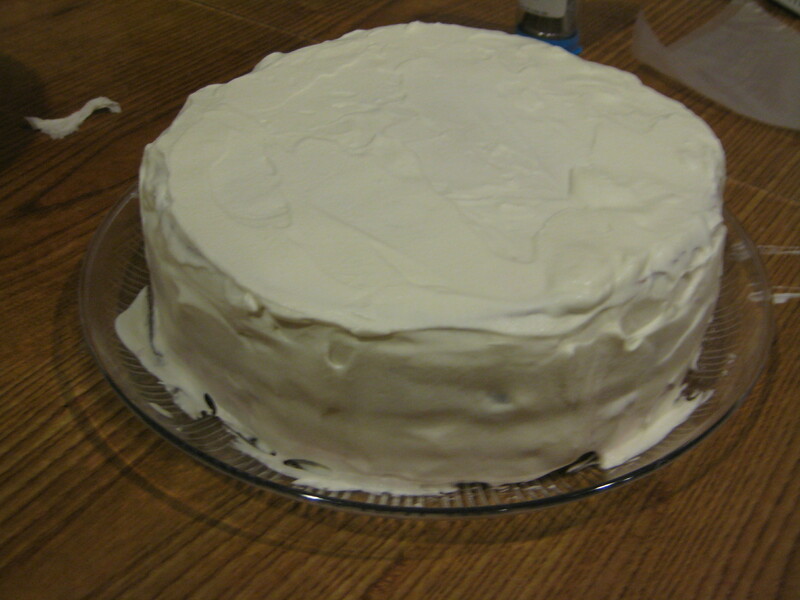 I figured I could use a box cake mix and make the mousse and whipped cream frosting. 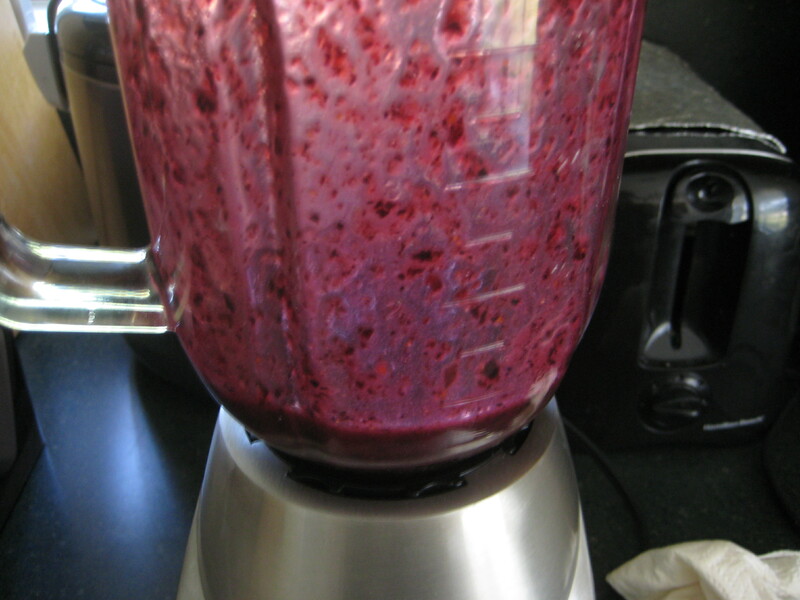 This recipe is something that needs to be made in advance or at least a day before. 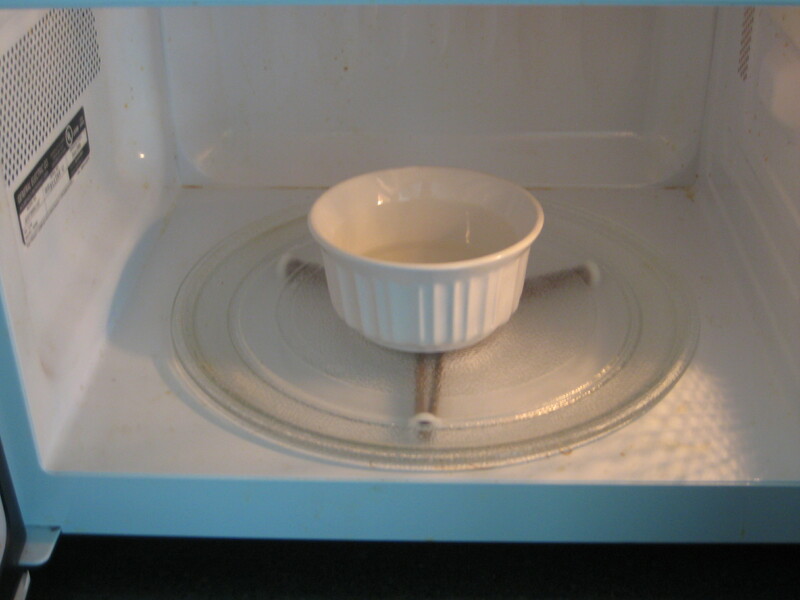 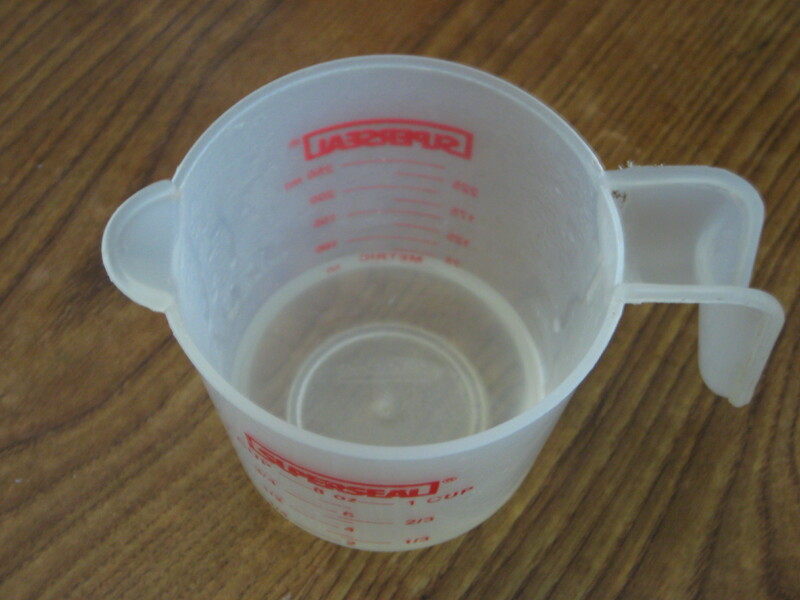 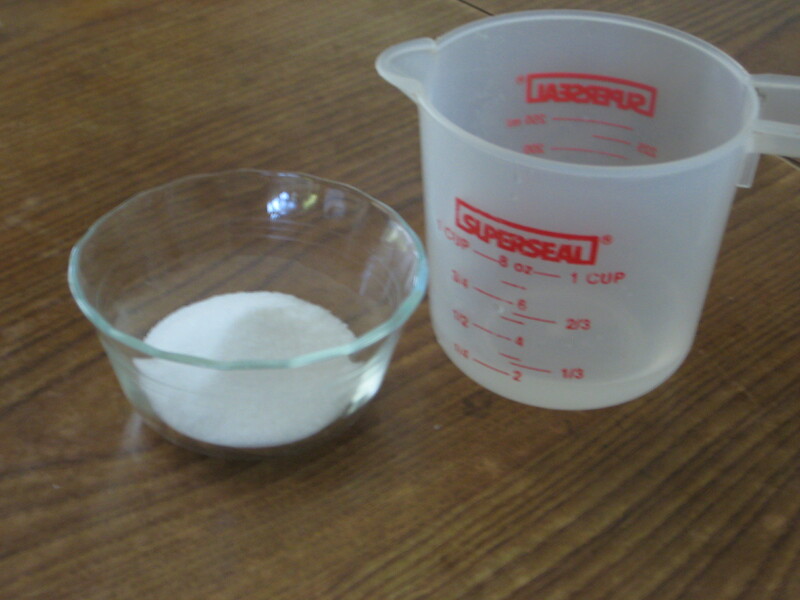 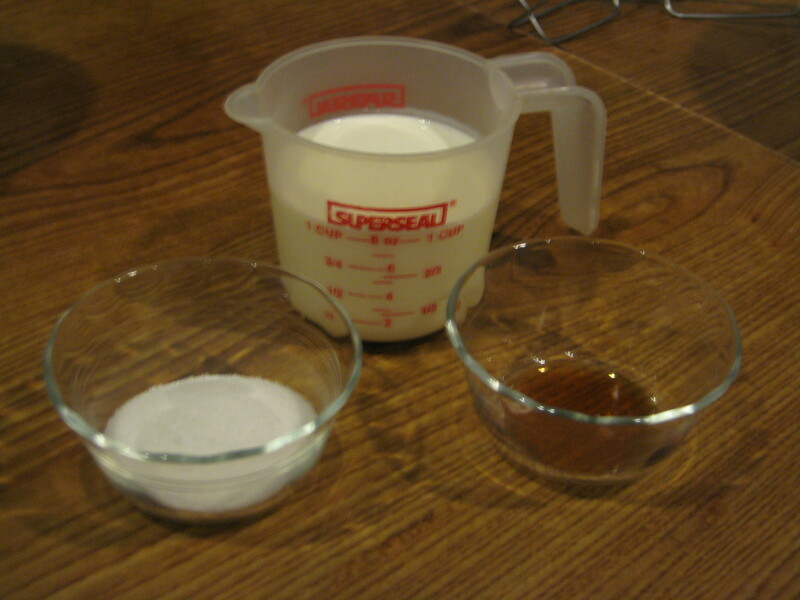 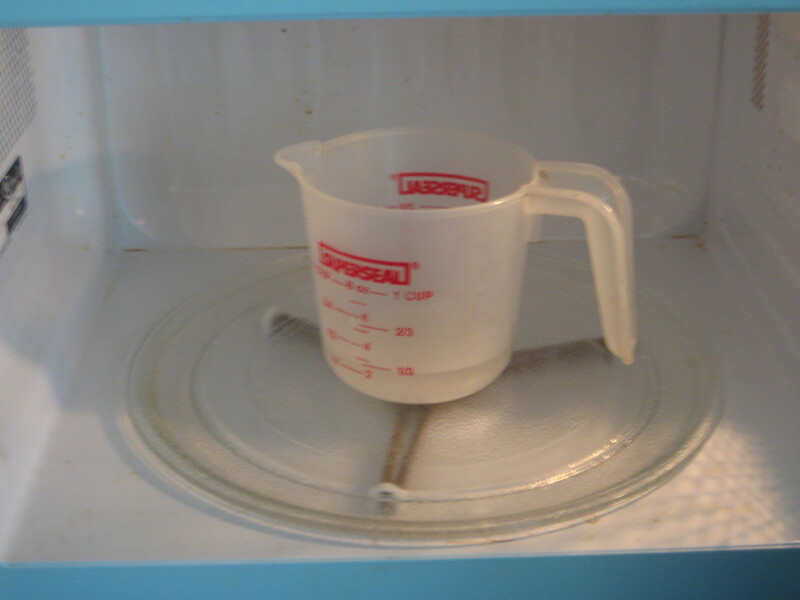 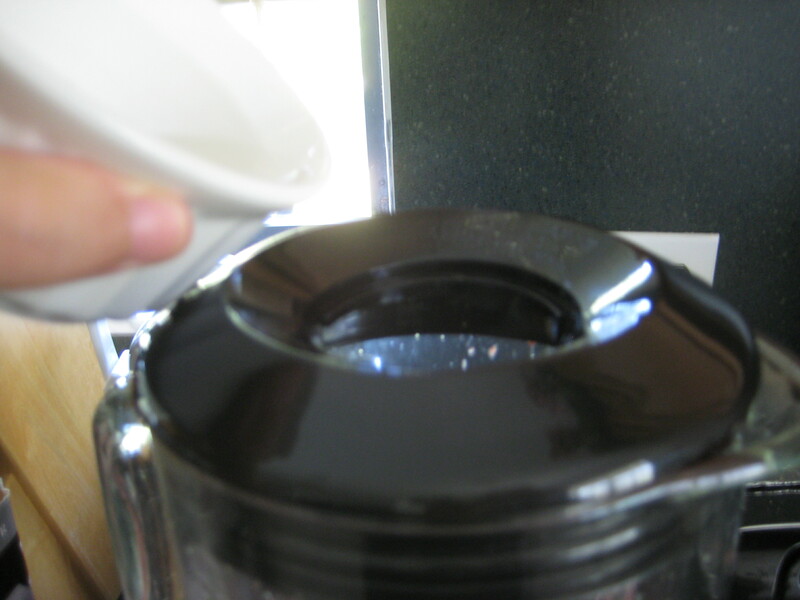 Step 1: Prepare syrup; mix water and sugar and microwave until hot, about 1 minute. 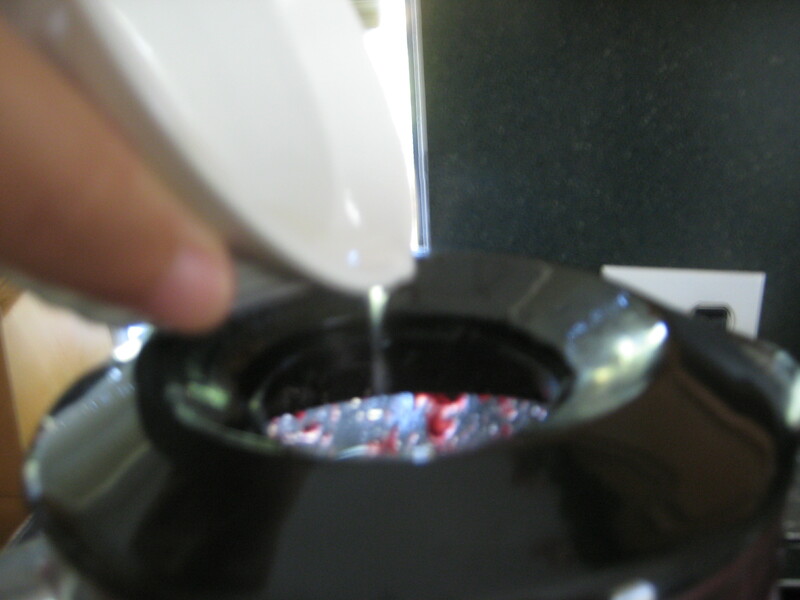 Step 2: Stir until completely dissolved, then let cool. 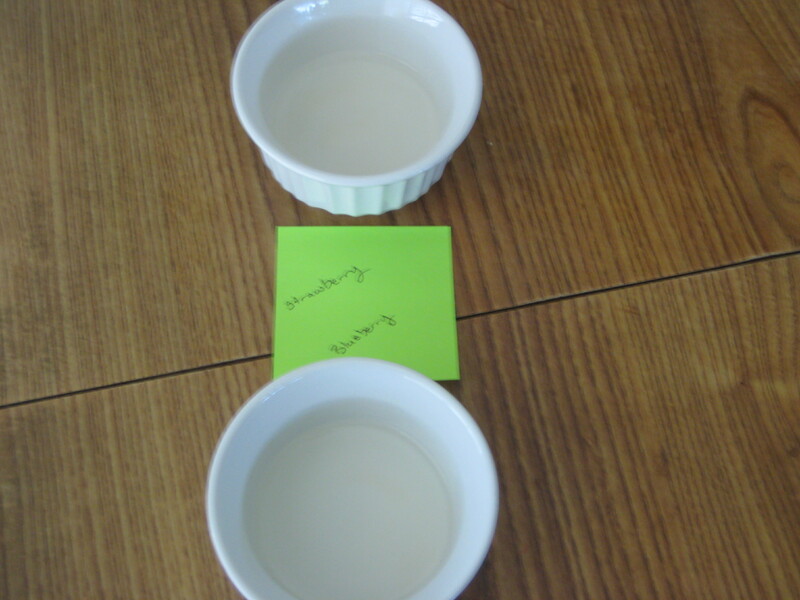 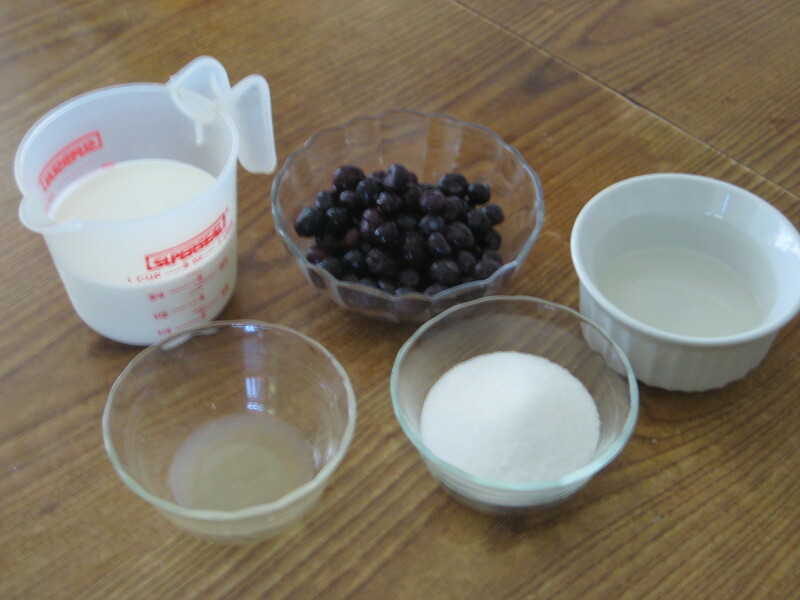 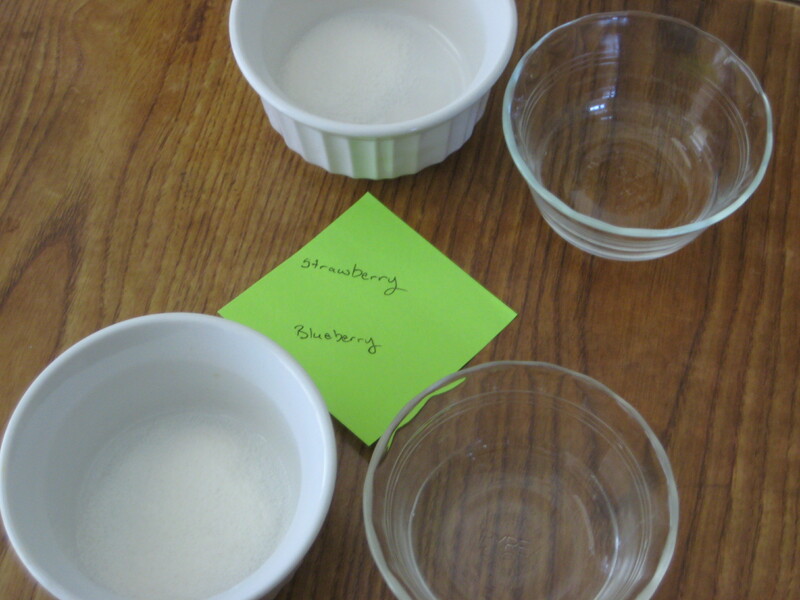 Step 1: Begin preparing the gelatin for the blueberry/strawberry gelatin and mousse in two separate small bowls or cups; put 1 and 2 or 2 and 2 1/2 tablespoons of water in each bowl, respectively, then sprinkle the gelatin into the water and set aside. 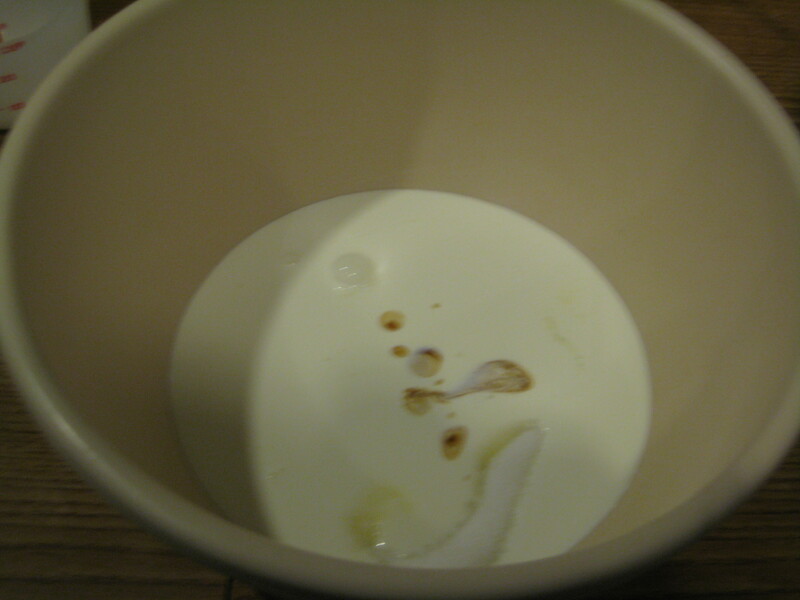 Note: Keep heavy cream chilled. 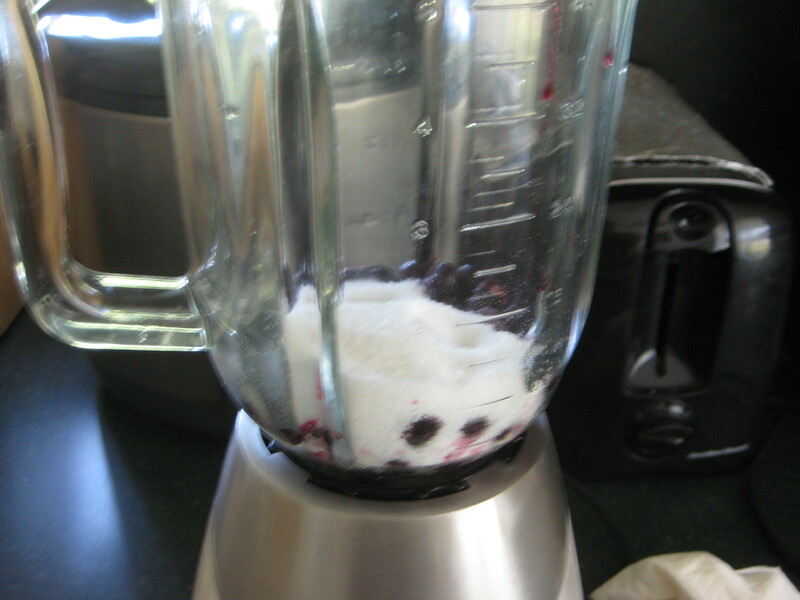 Step 1: Put the blueberries and sugar into a food processor and purée. 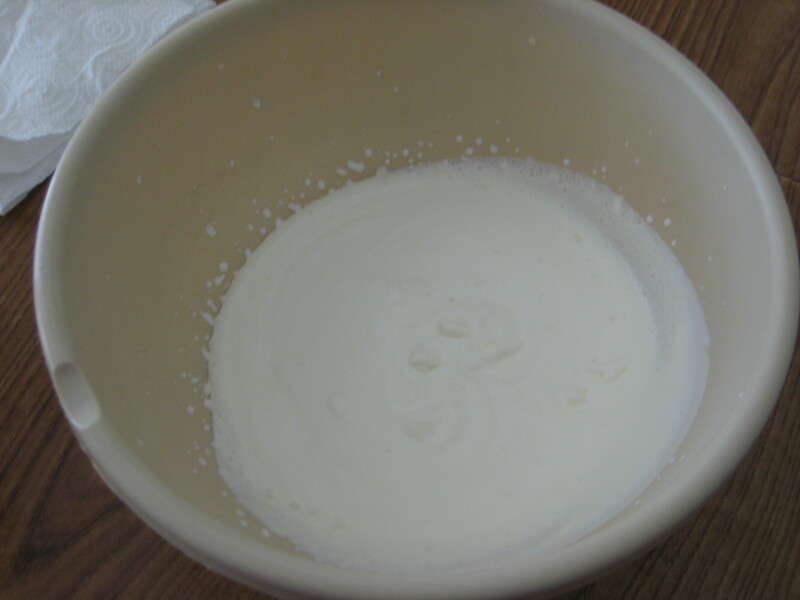 Step 2: Pour the heavy cream into a large bowl and whip until thick enough that cream dribbled from the beater briefly leaves a trail, but is not stiff. 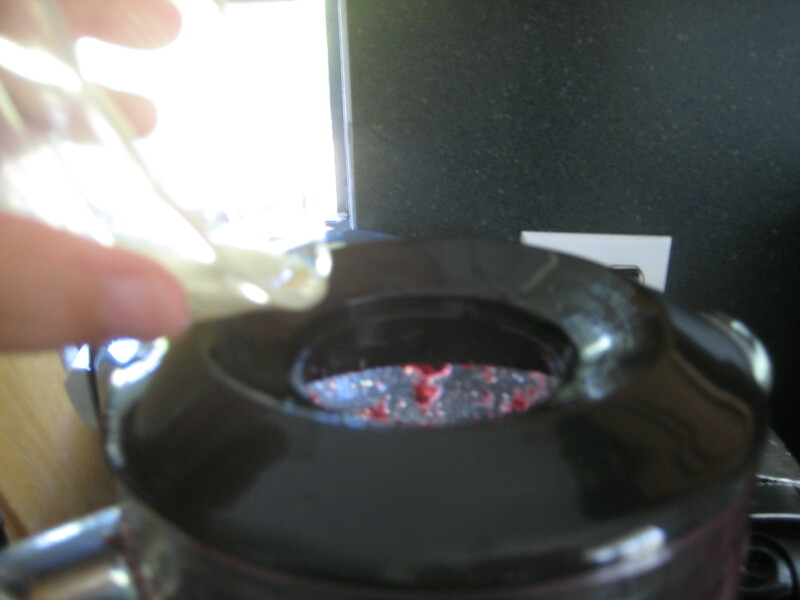 Step 3: Microwave the prepared gelatin until it turns to liquid (but don’t boil it), then add to food processor along with the lemon juice and run the food processor again to mix. 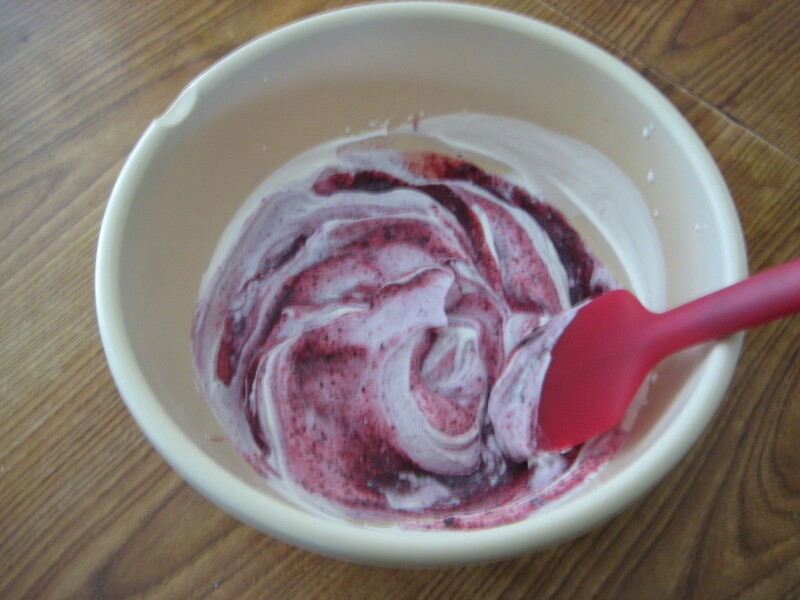 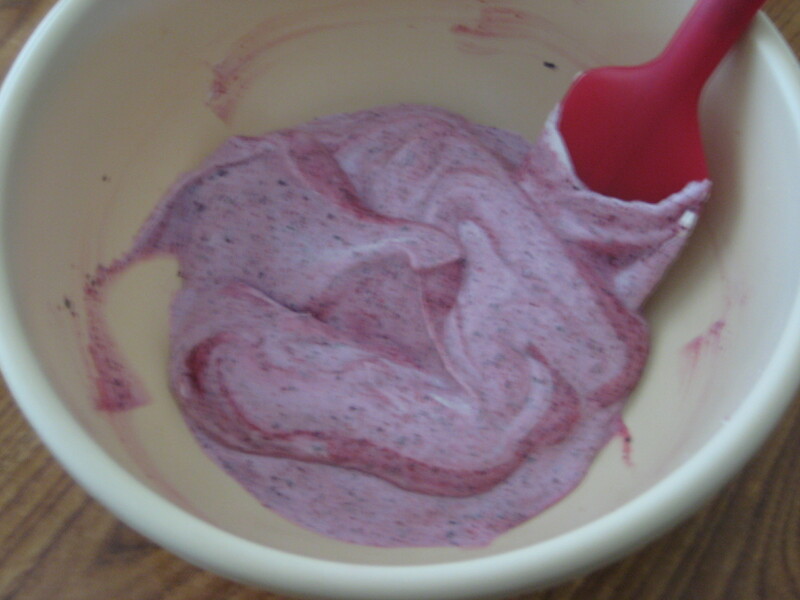 Step 4: Pour the blueberry mix into the whipping cream and fold until mixed. 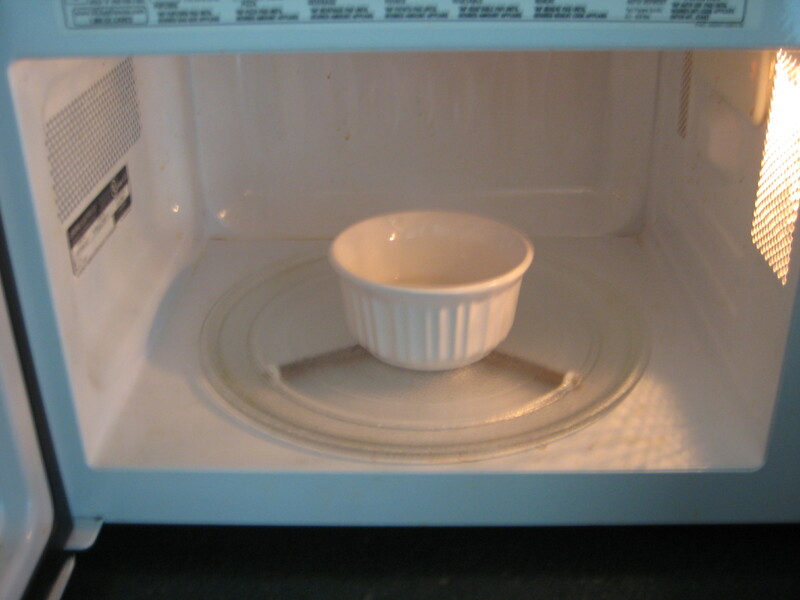 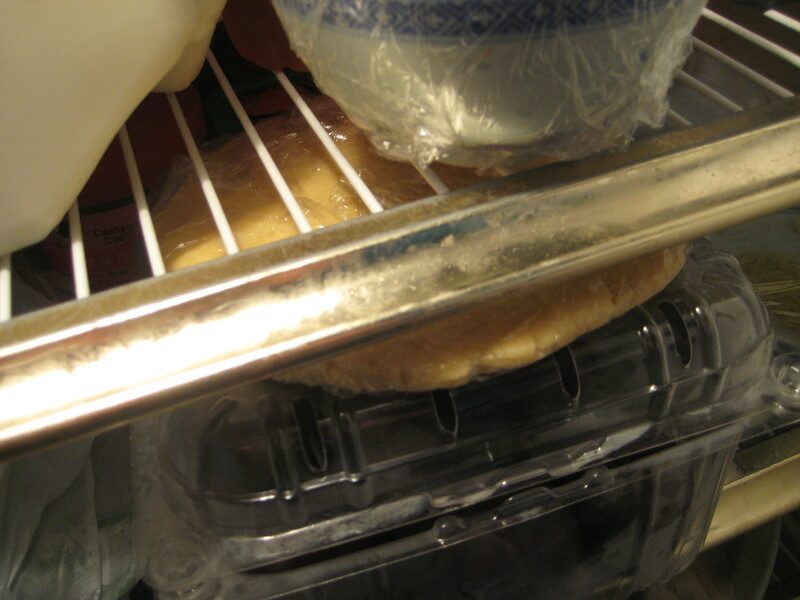 Step 5: Allow to set in the refrigerator for 1 hour before use. 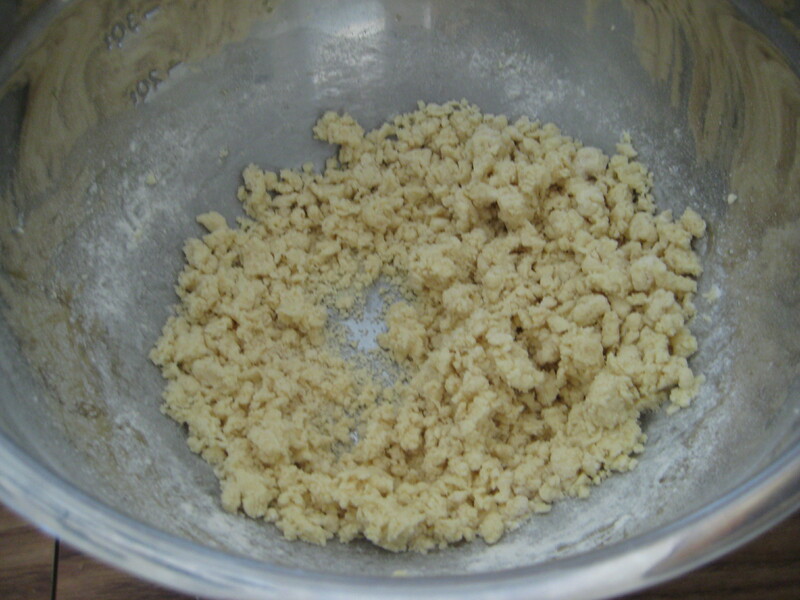 Step 2: Take another 3.5 oz. 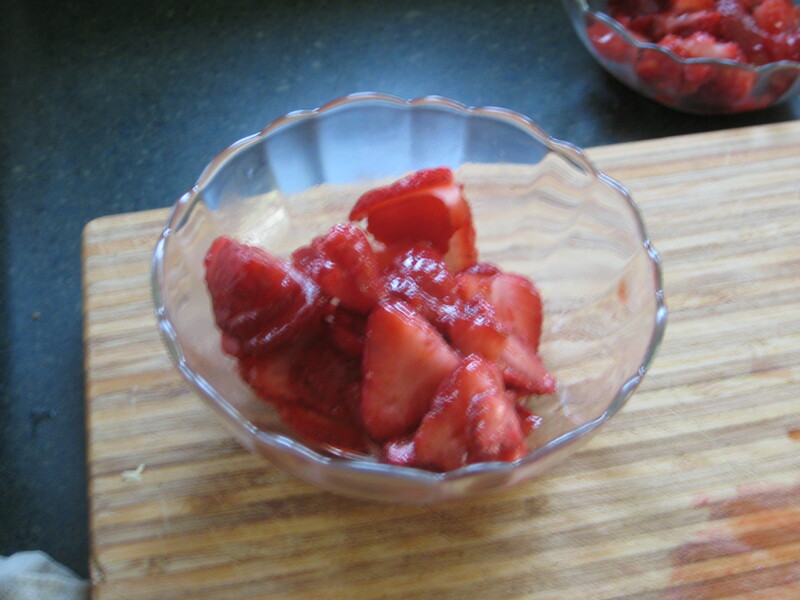 of strawberries, cut them in half, and slice thinly. 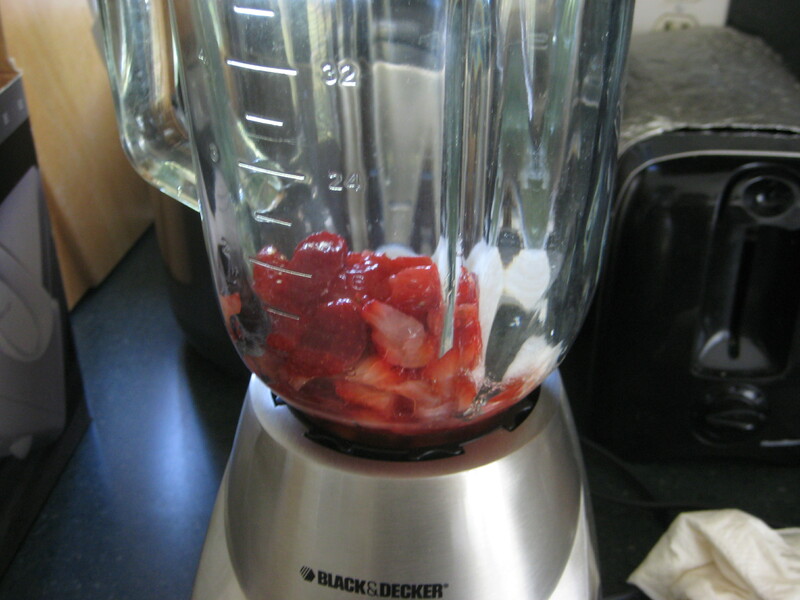 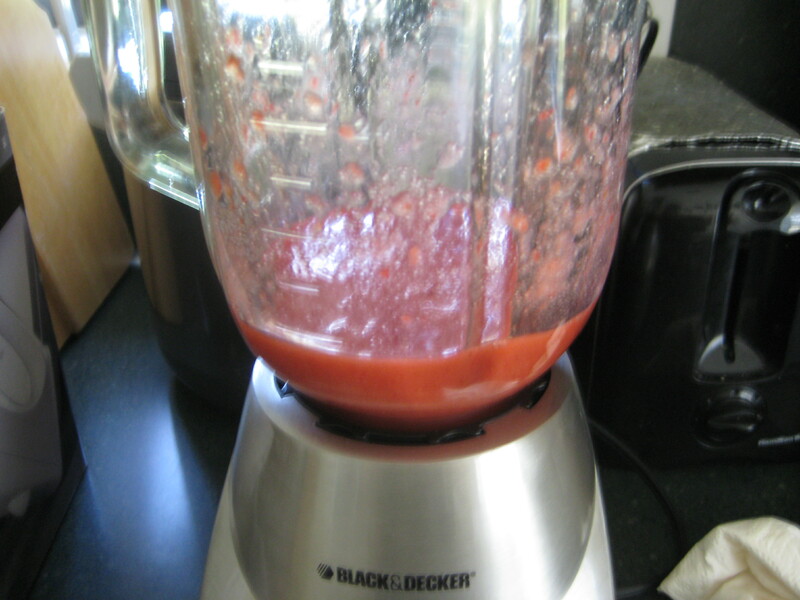 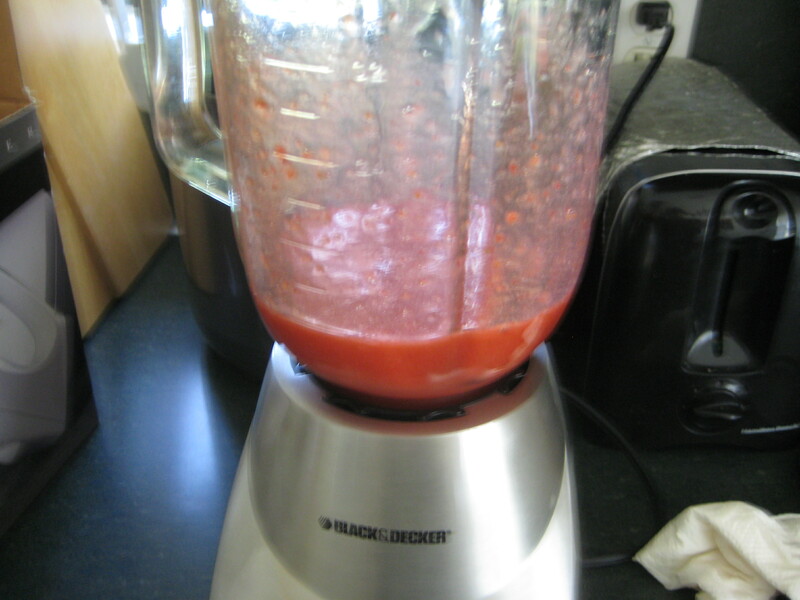 Step 3: Pour the marinated strawberries and any liquid into a food processor and purée. 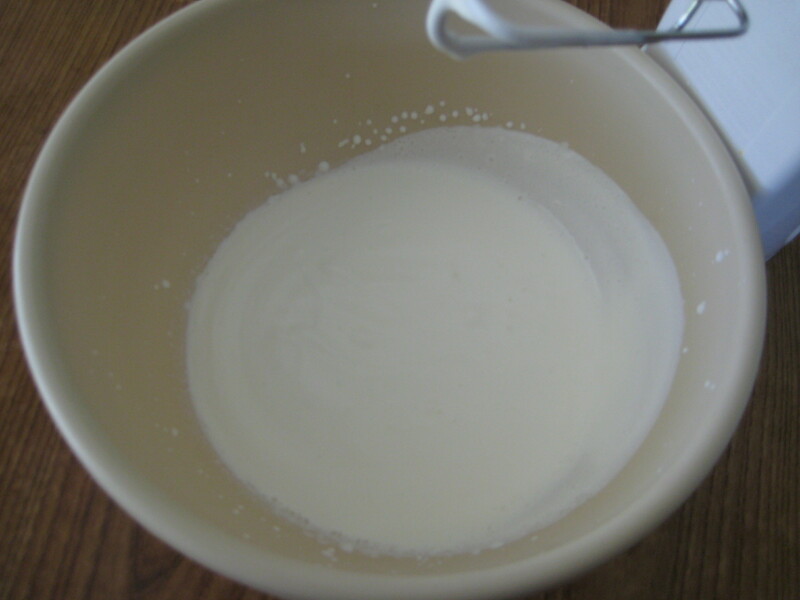 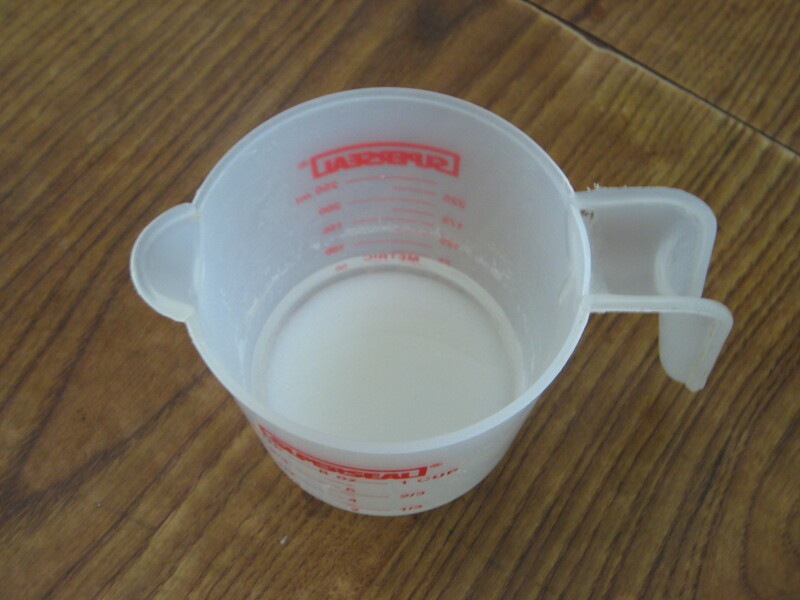 Step 4: Pour the heavy cream into a large bowl and whip until thick enough that cream dribbled from the beater briefly leaves a trail, but is not stiff. 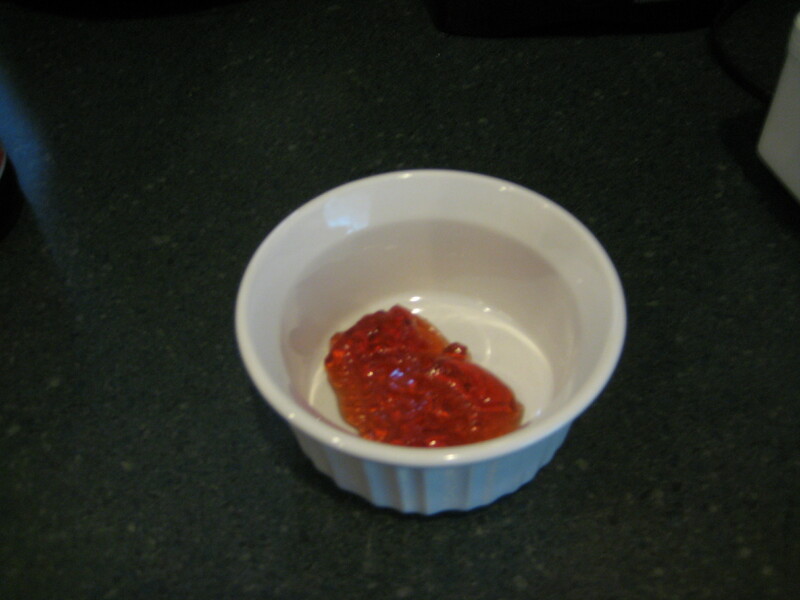 Step 5: Microwave the prepared 6g of gelatin until it turns to liquid, then add to food processor and mix. 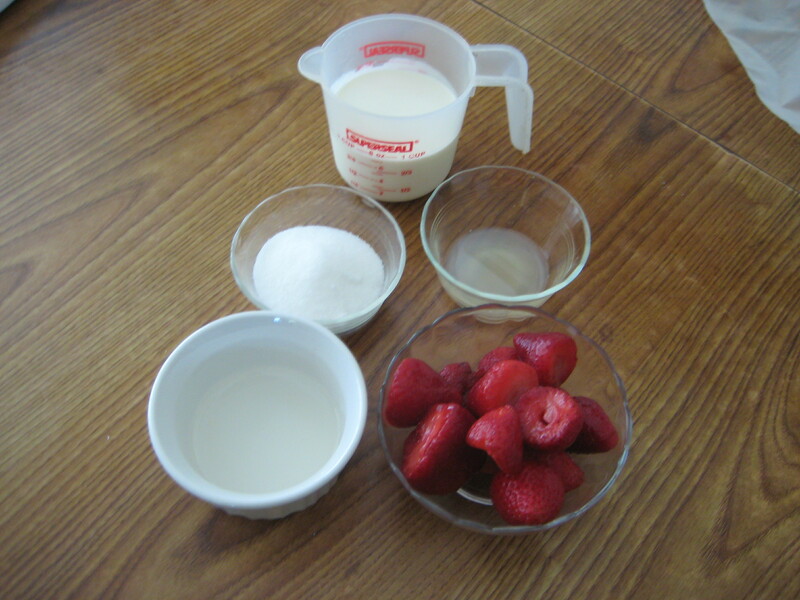 Step 6: Take the sliced strawberries from 2 and the strawberry purée from 5 and add them to the whipped cream, then fold until mixed. 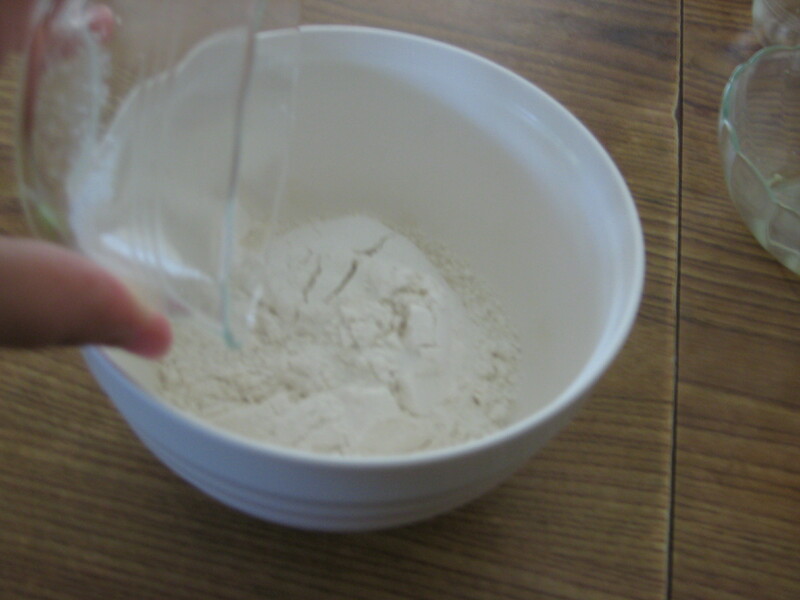 Step 7: Allow to set in the refrigerator for 1 hour before use. 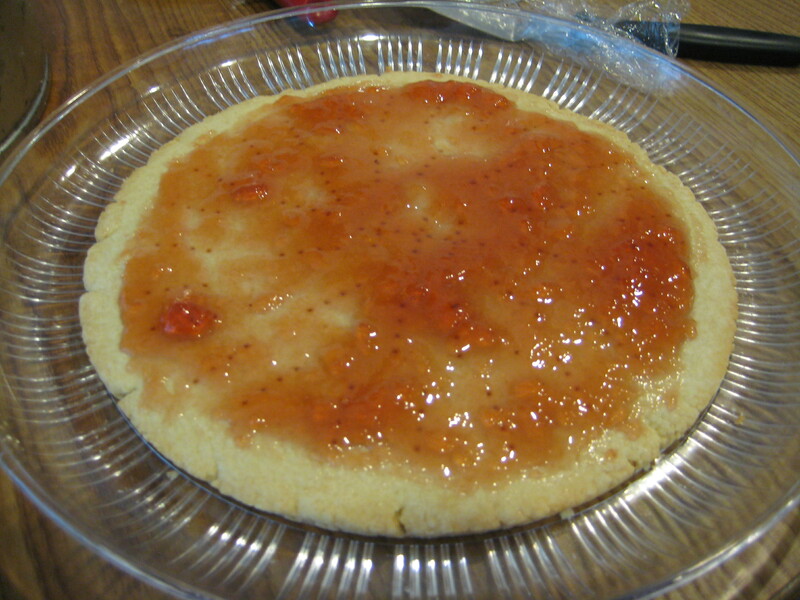 Step 1: Warm enough strawberry jam to coat one surface of the pâte sucrée disk in the microwave to soften it, then coat the top of the tart. 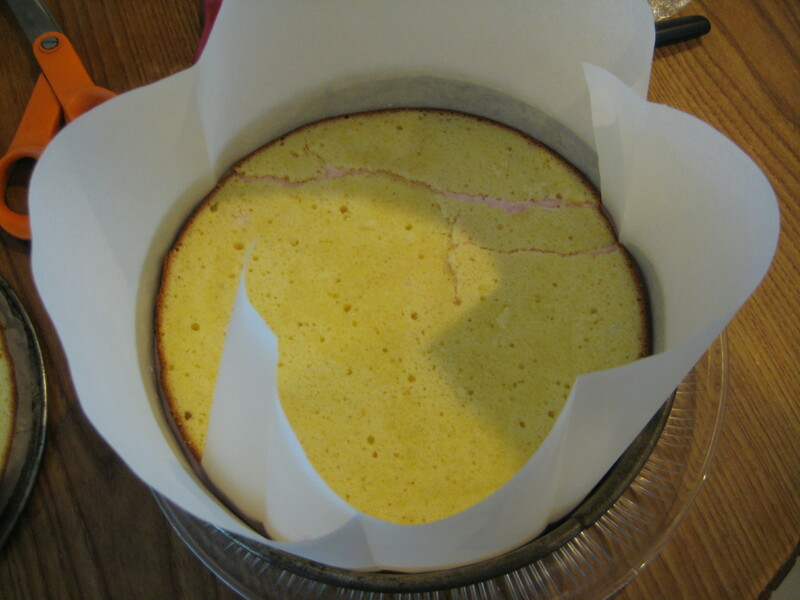 Step 2: Place a cake-forming ring onto the plate the cake will be served on and line it with either acetate sheet or parchment paper. 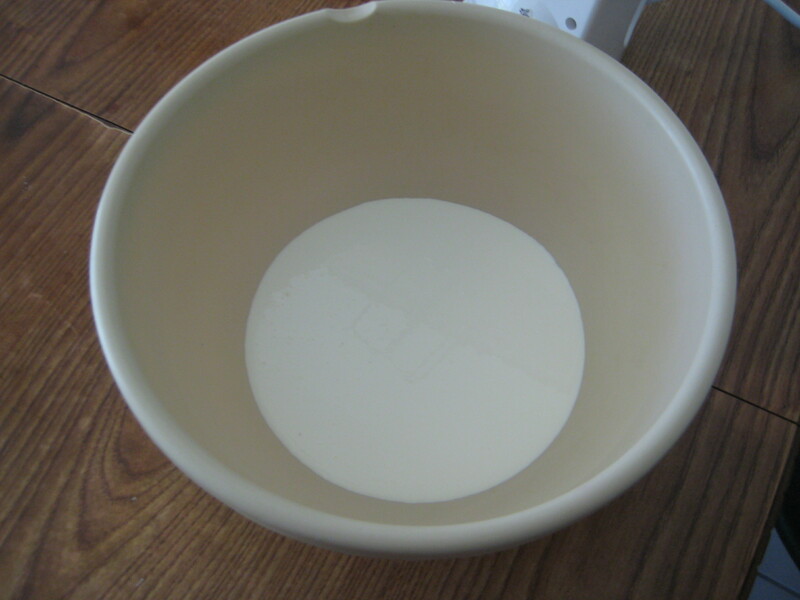 (If the ring you’re using is adjustable, size it slightly large than the tart base). 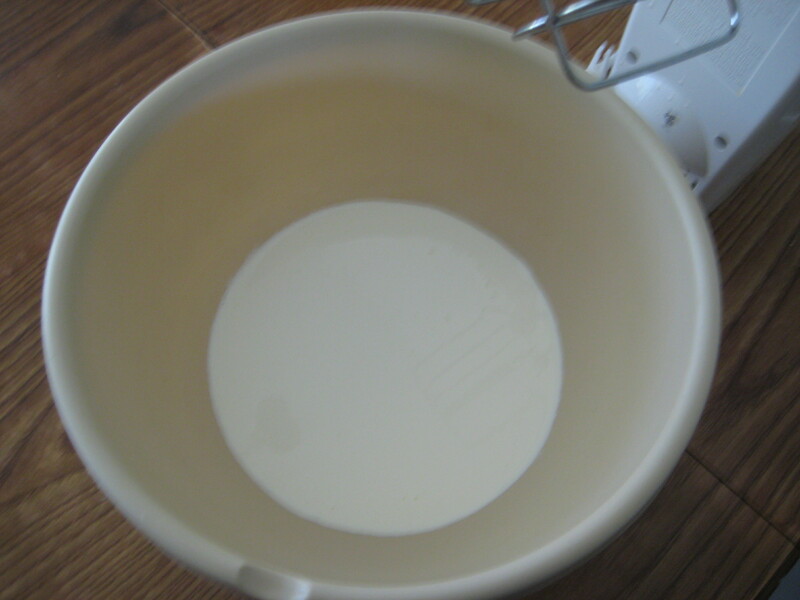 Lay the base in the ring jam-side up. 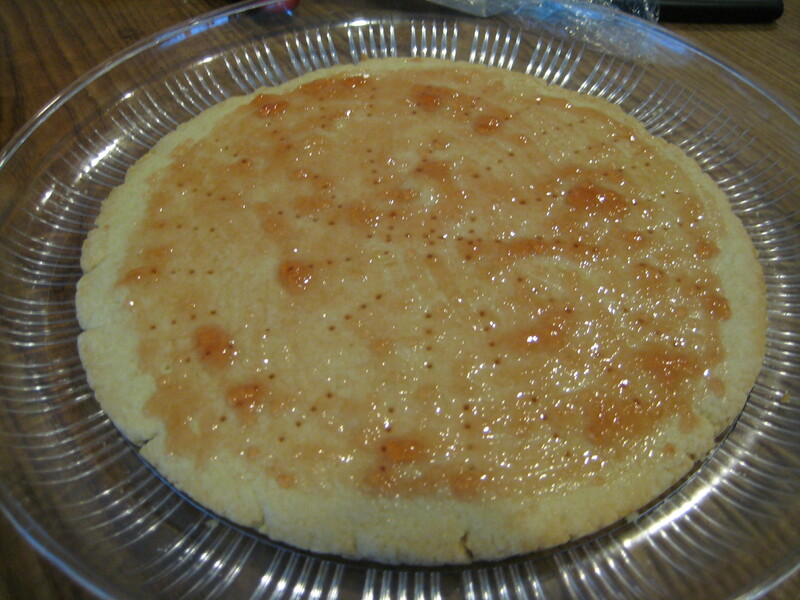 Step 3: Lay the first layer of the sponge cake on top of the tart base, then dab on one third of the syrup. 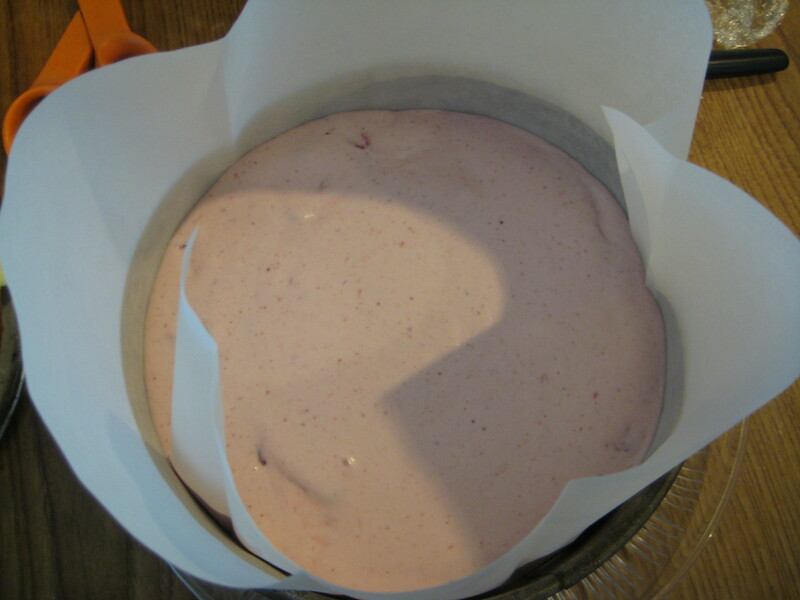 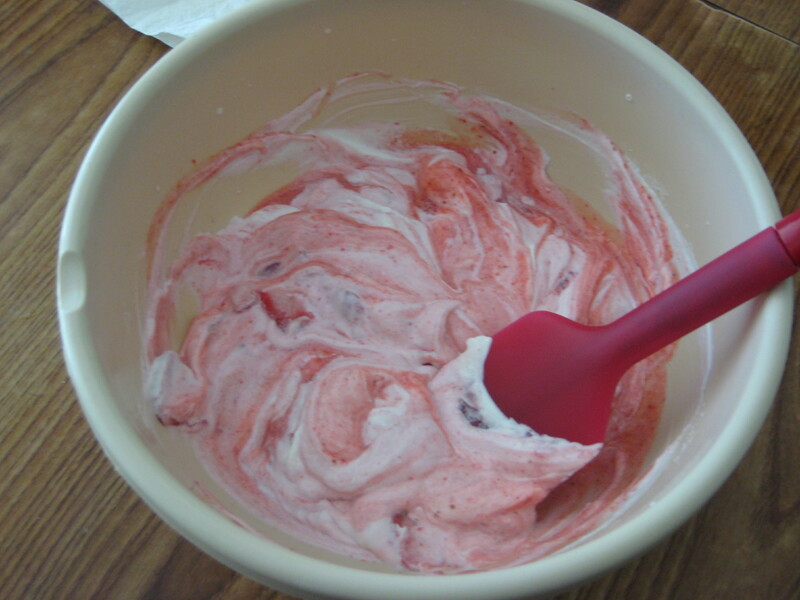 Step 4: Pour the mousse strawberry onto the cake and spread smooth with a spatula. 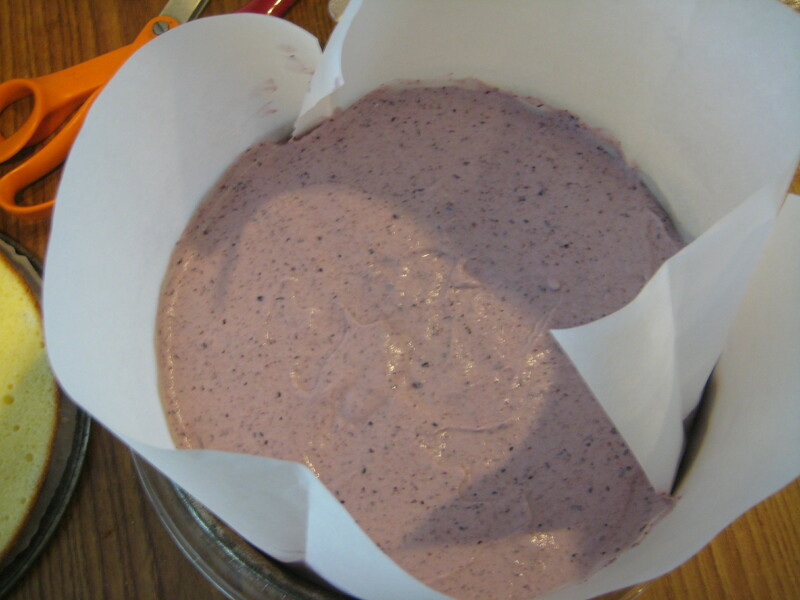 Step 5: Lay the second layer of sponge cake onto the mousse and press down lightly, then dab on one third of the syrup. 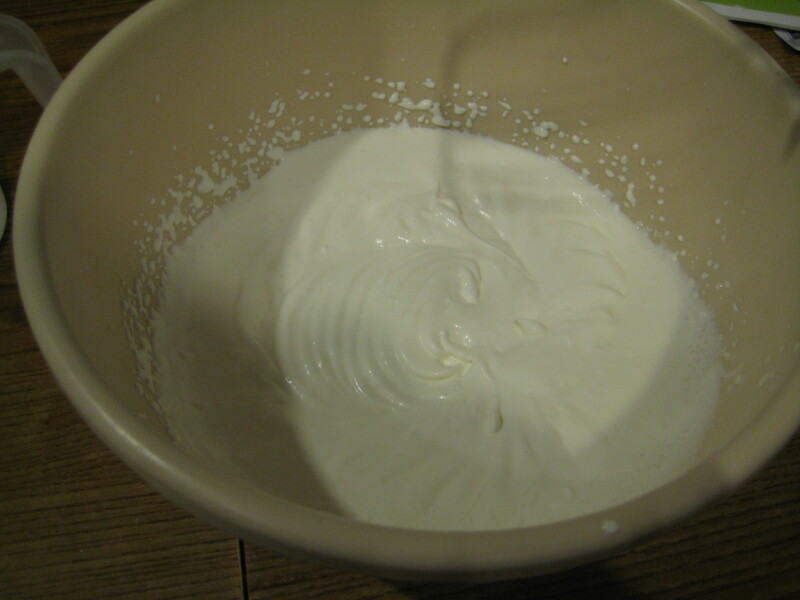 Step 6: Pour remaining mousse on top, again spreading smooth. 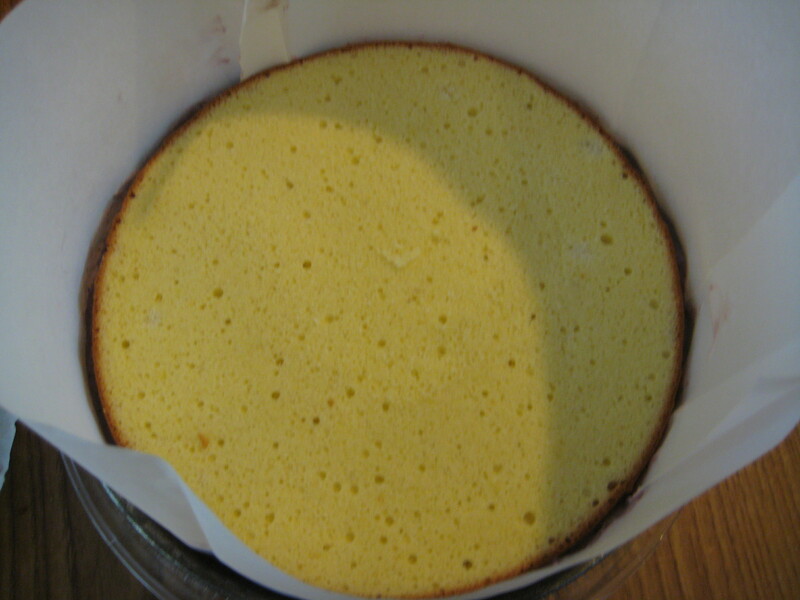 Step 7: Lay the top layer of cake on top, press down lightly, and dab with remaining syrup. 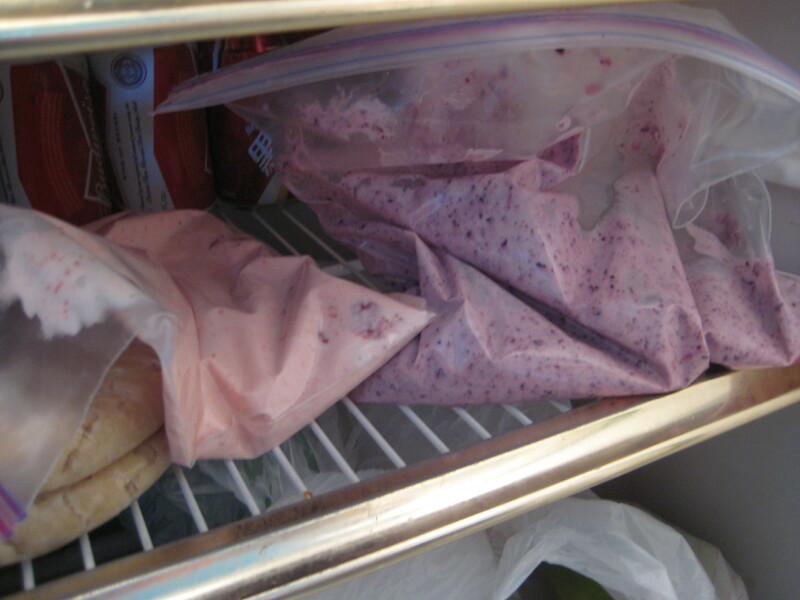 Step 8: Chill for about 2-4 hours in the refrigerator to set. 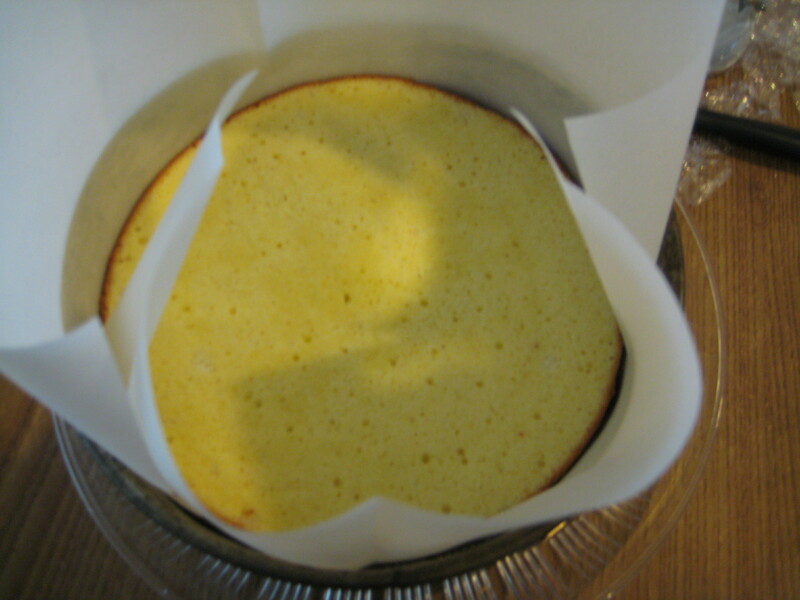 Step 1: Remove the cake ring from the cake. 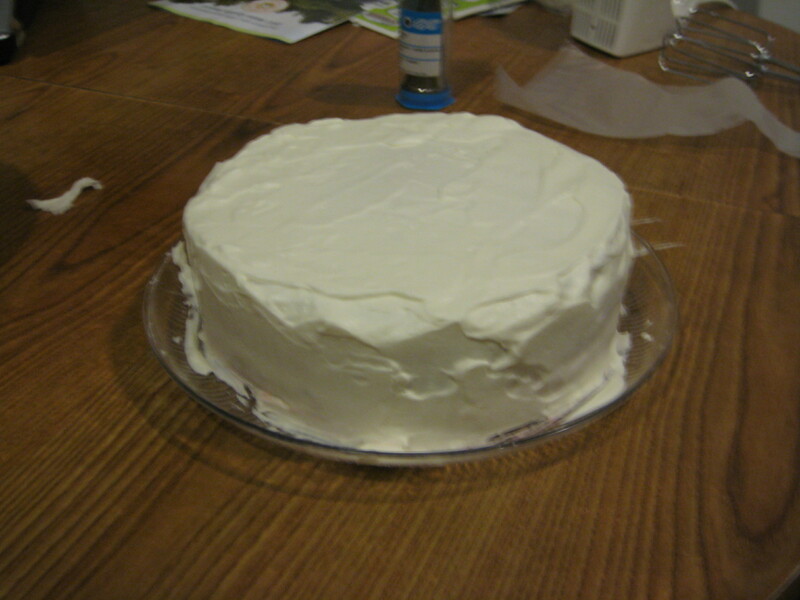 Step 4: Spread a thin layer of cream around the outside edge of the cake. 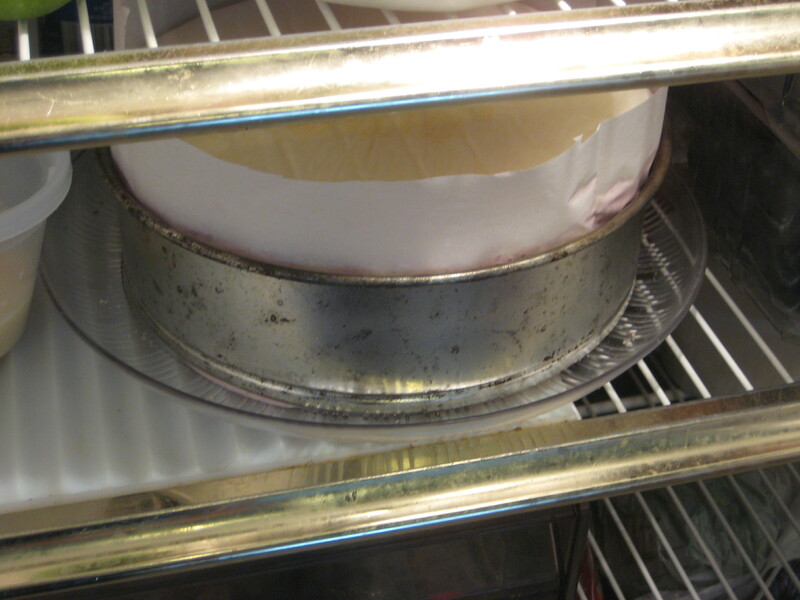 Step 5: Put the cake and cream in the refrigerator to allow the layer to set. 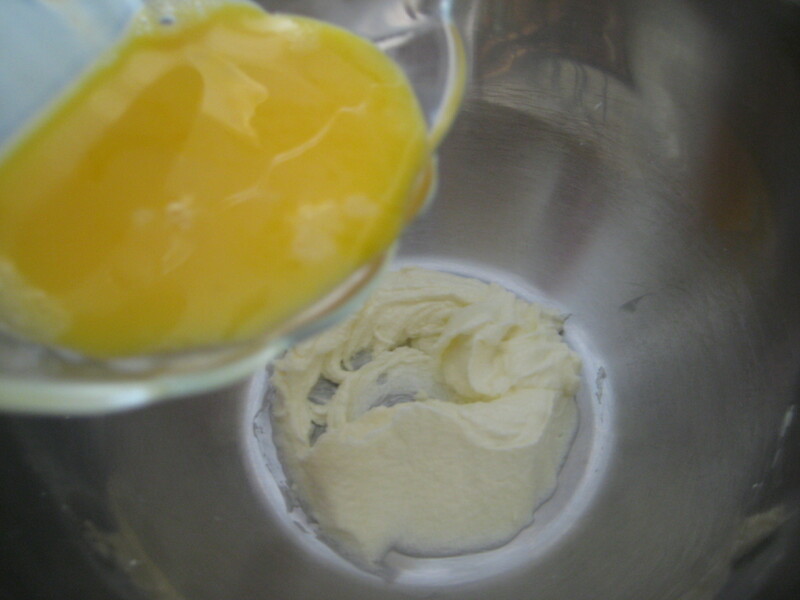 Step 6: Add another coat of cream, chill, and repeat as many times as necessary to get a nice, even layer all the way around. 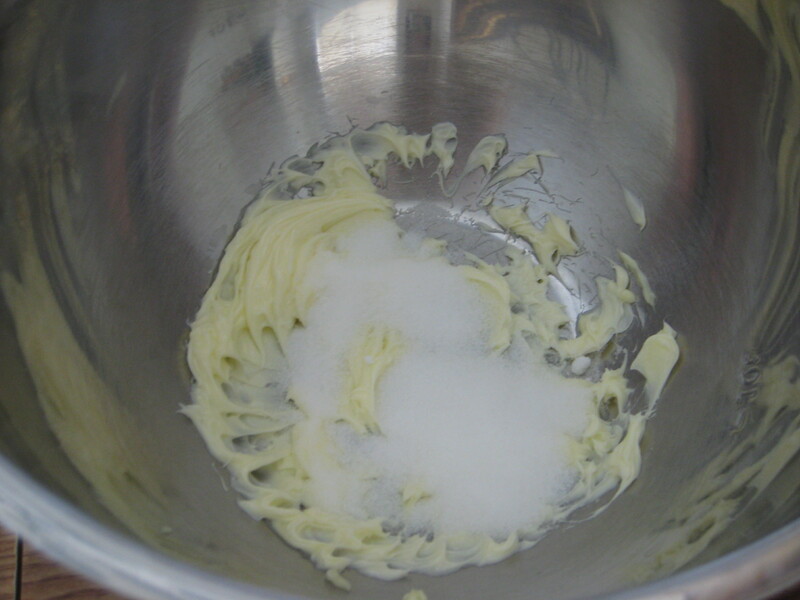 Step 7: Whip the remaining cream until stiff enough to hold its shape. 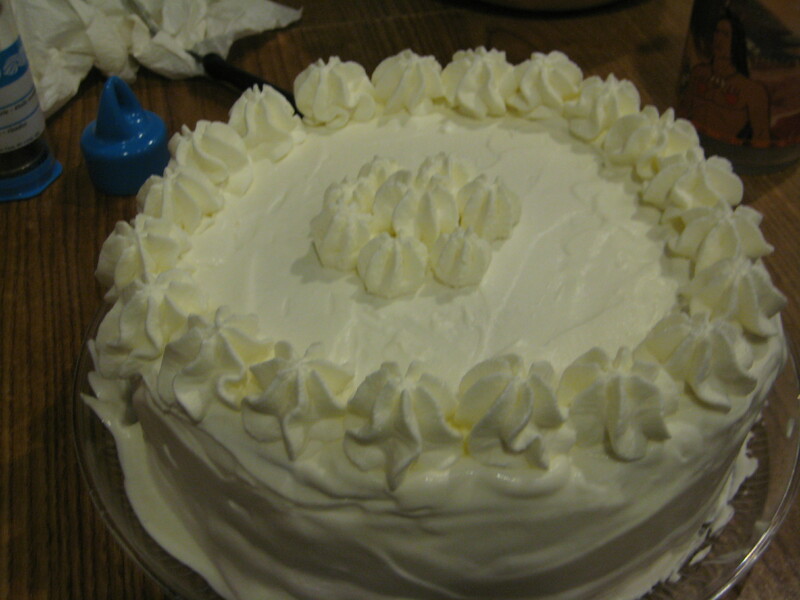 Step 8: Use a pastry bag to make a decorative wall of cream around the outside edge of the top. 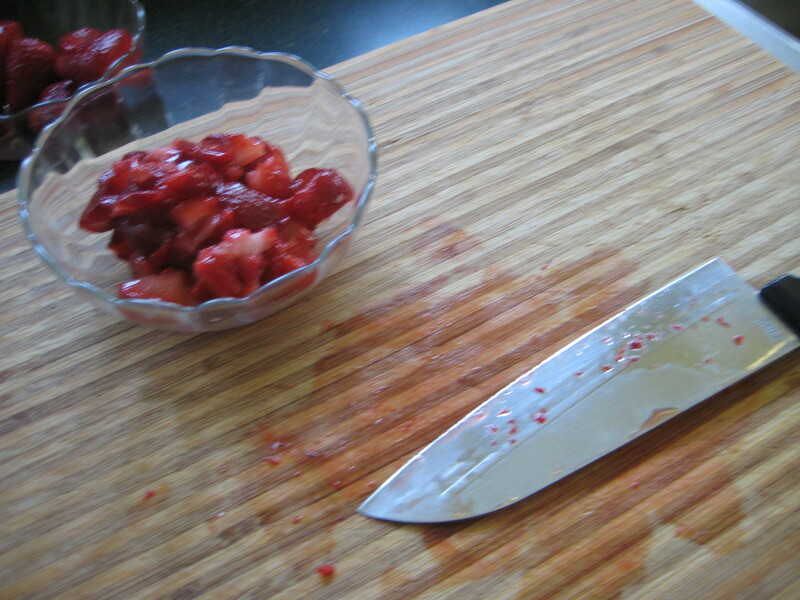 Step 9: Decorate with leftover fruit. 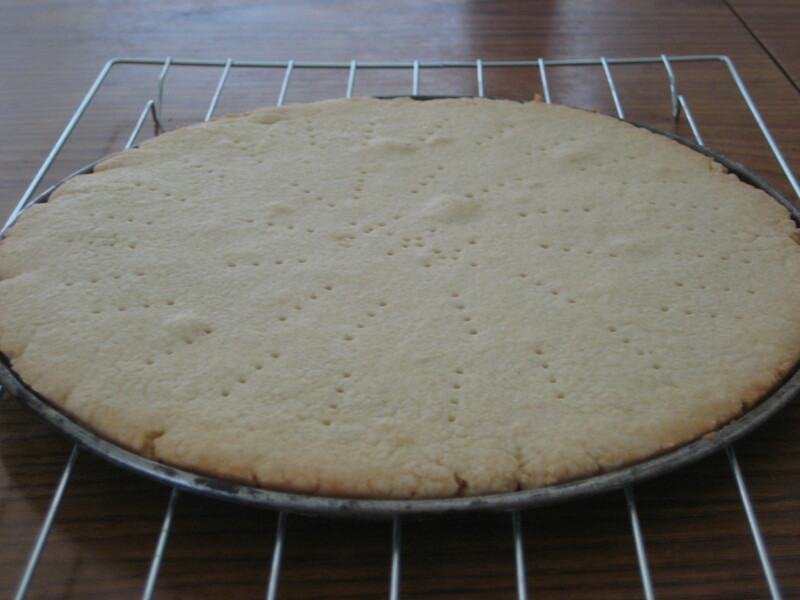 A Pâte Sucrée is also known as a sweet pastry crust. 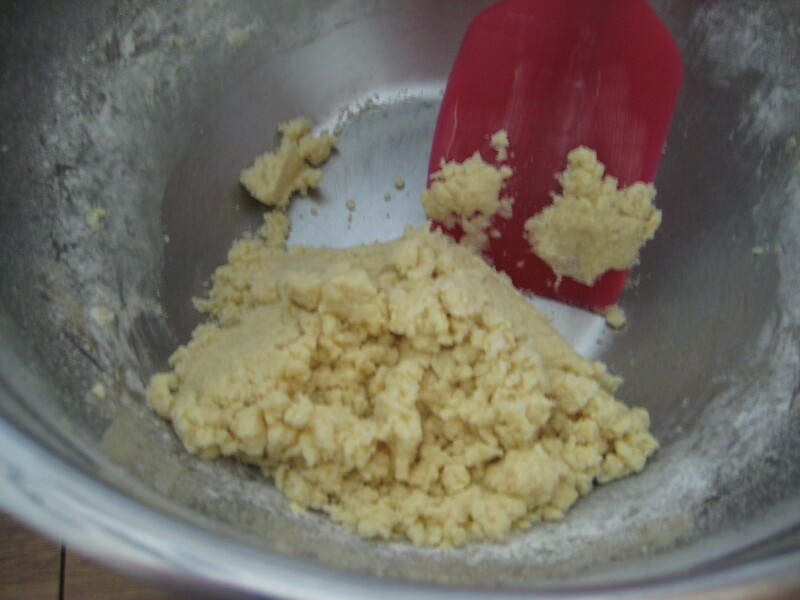 It’s used for tarts and pies, just double the ingredients. 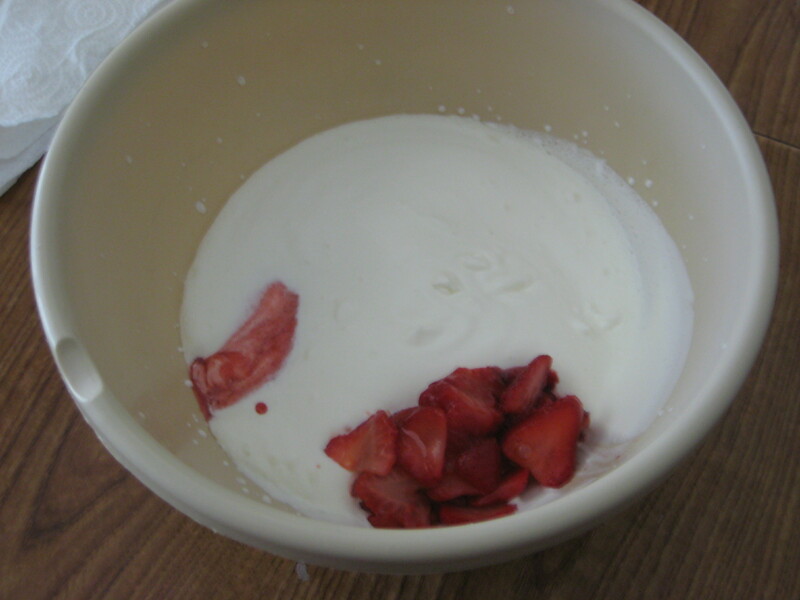 I will be making it for a bottom to a mousse cake. 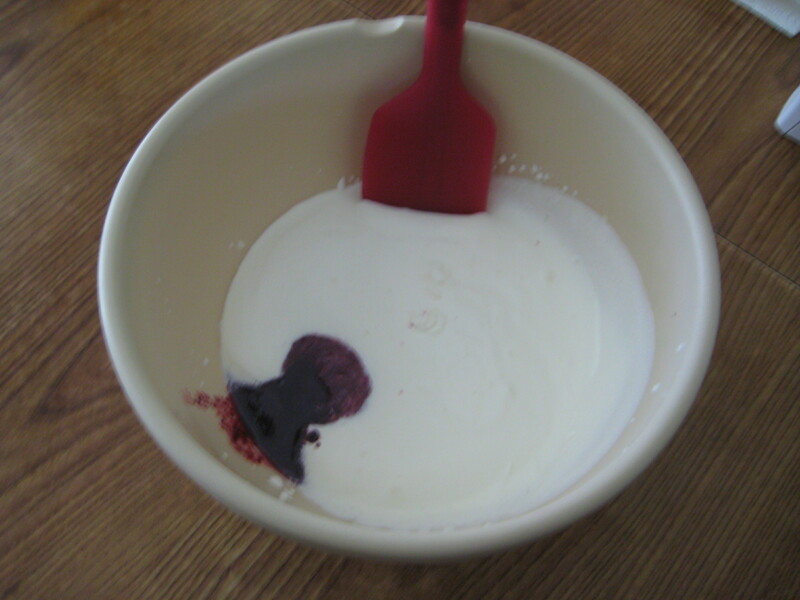 The reason will be that I need something on the bottom of the mousse cake to stabilize it. 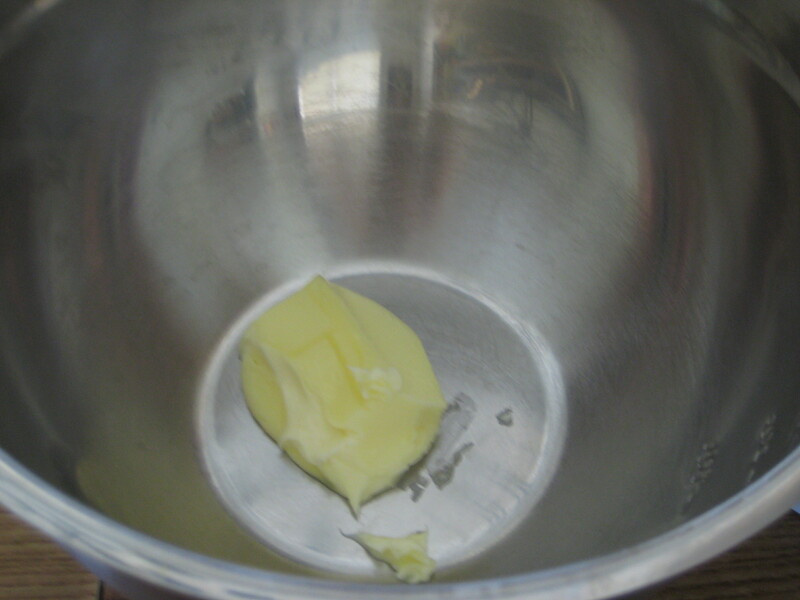 Step 1: In a large bowl, beat the butter until softened. 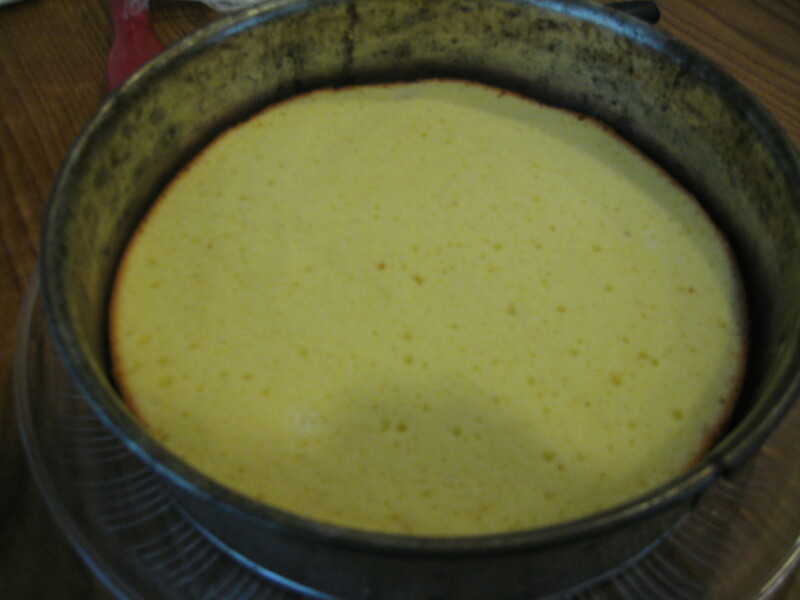 Step 2: Add the sugar and beat until light and fluffy. 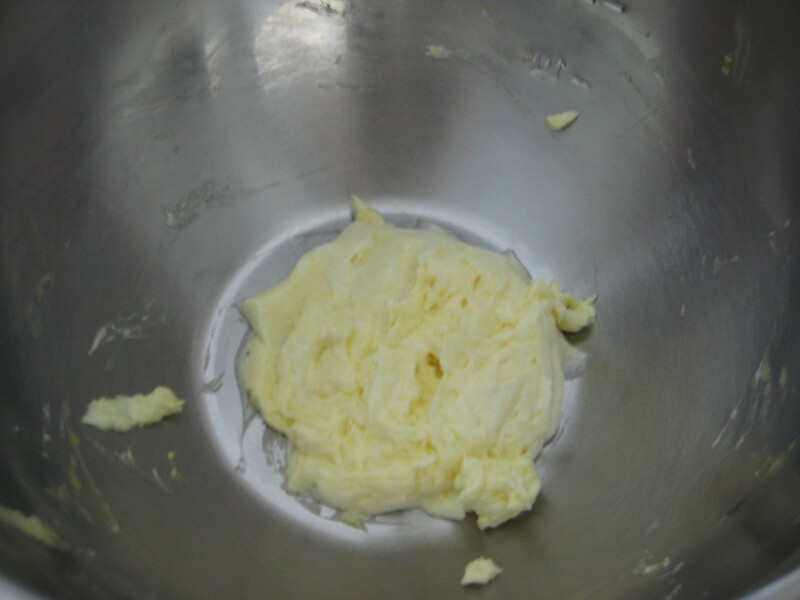 Step 3: Gradually add in the beaten egg until just incorporated. 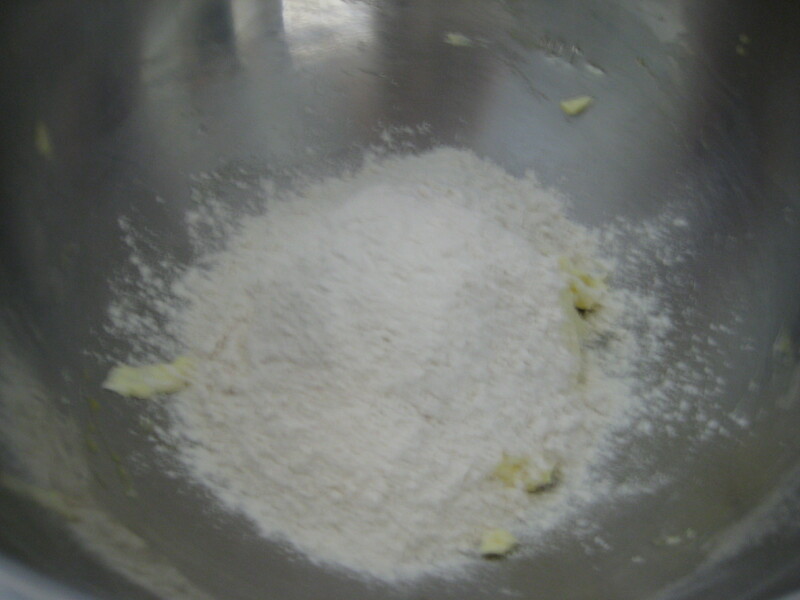 Step 4: Add the salt to the flour. 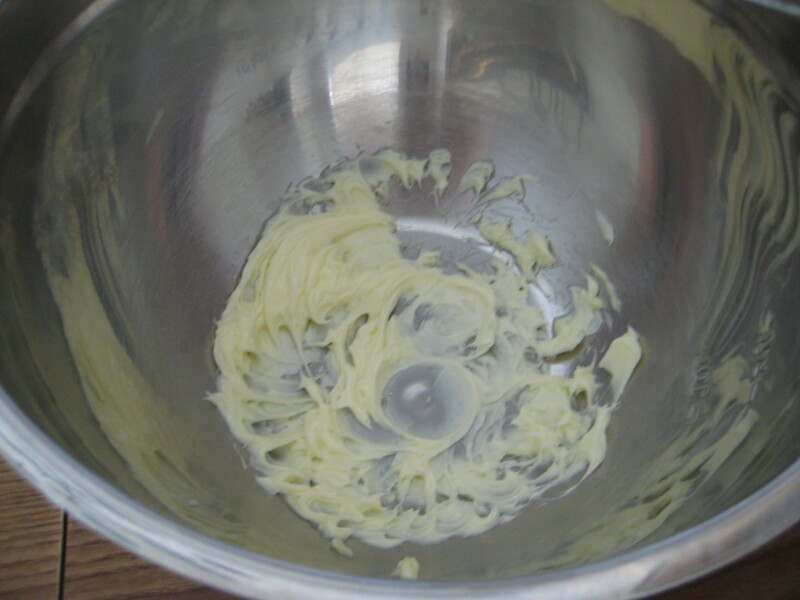 Step 5: Add the flour mixture all at once into the butter mixture. 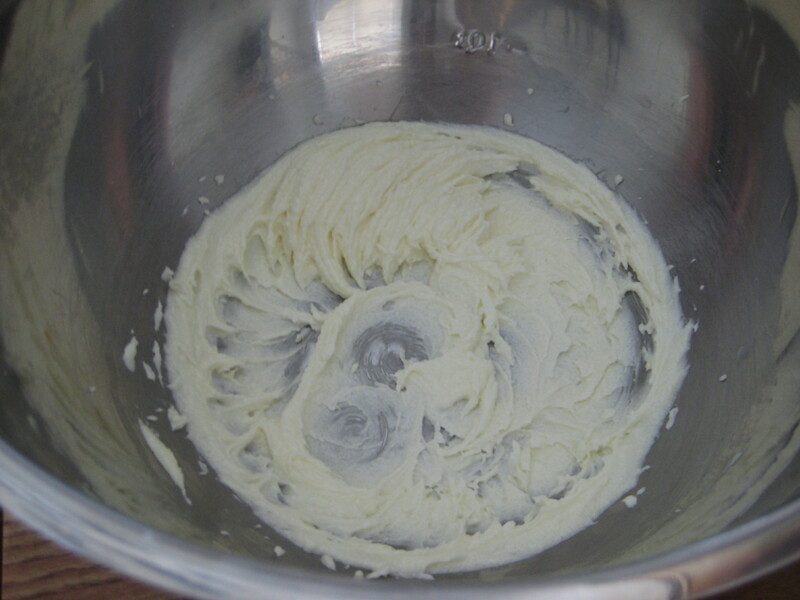 Step 6: Mix just until it forms a ball. 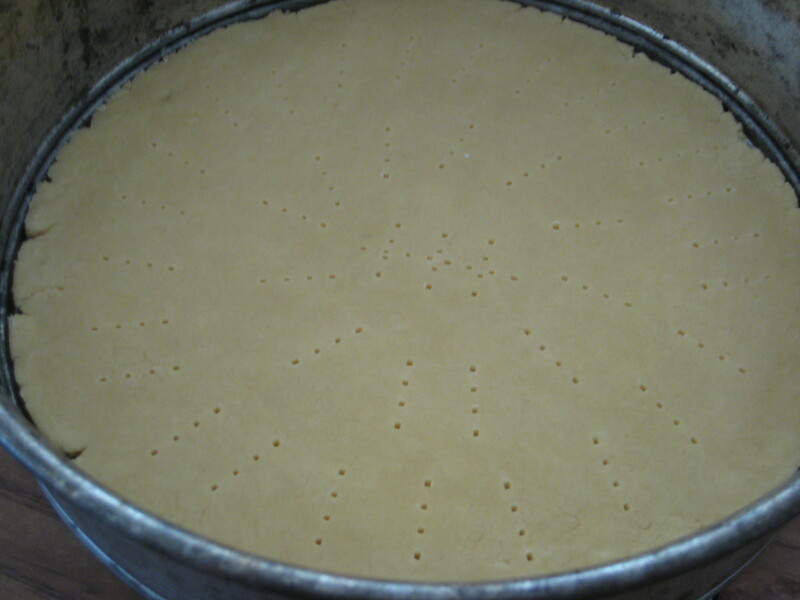 Step 9: Once pastry has chilled, evenly pat or roll with a lightly floured rolling pin onto the bottom of a 9-inch pan. 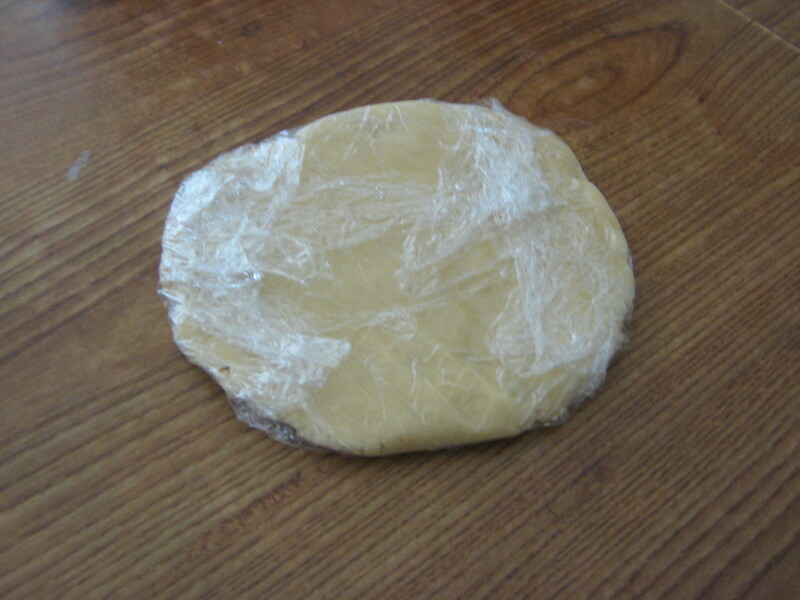 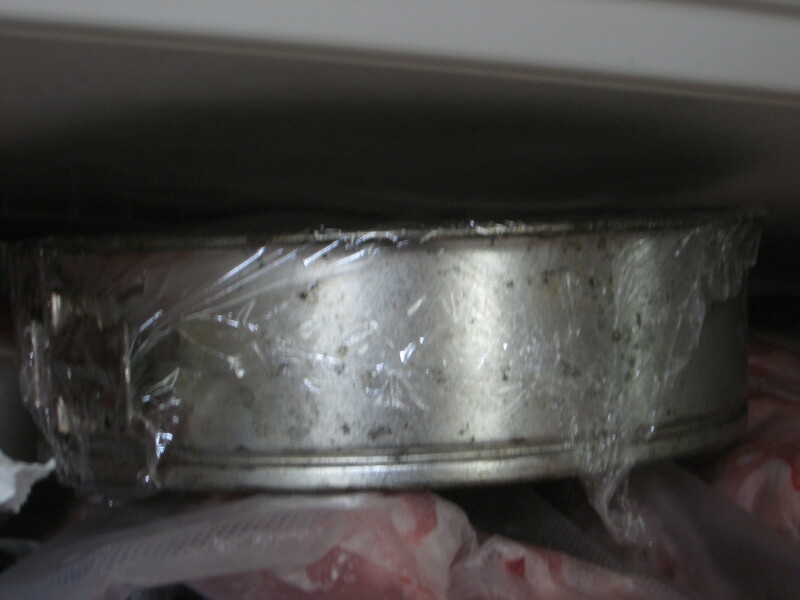 Step 10: Cover with plastic wrap and place in freezer for 15 minutes. 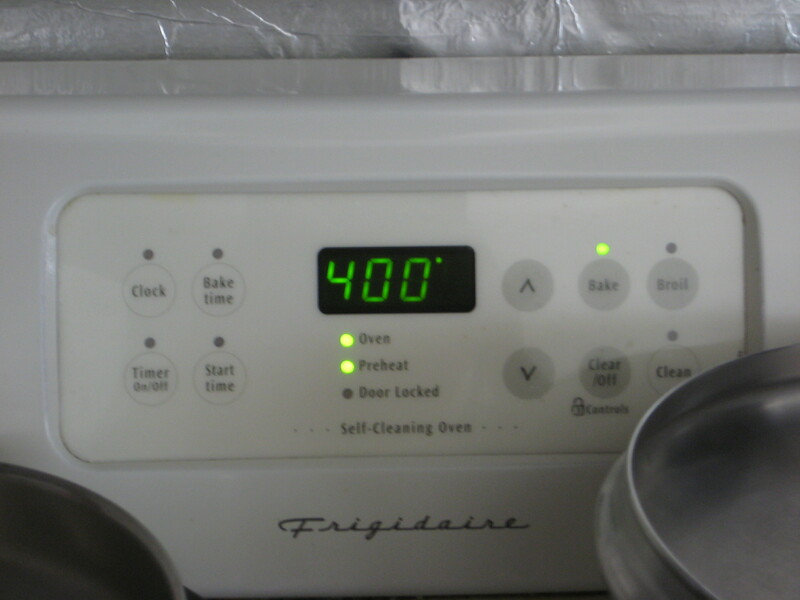 Step 11: Preheat oven to 400°F and place rack in center of oven. 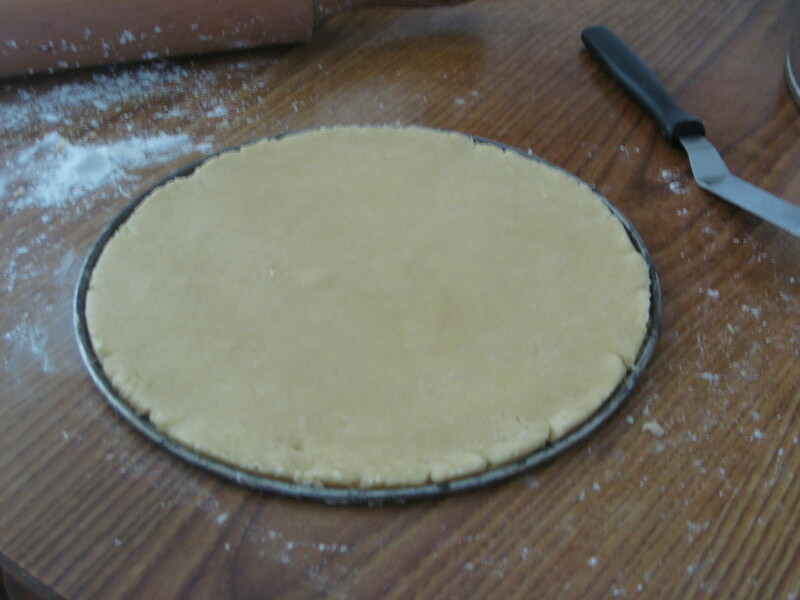 Step 12: Lightly prick bottom of the pastry disk with a fork. 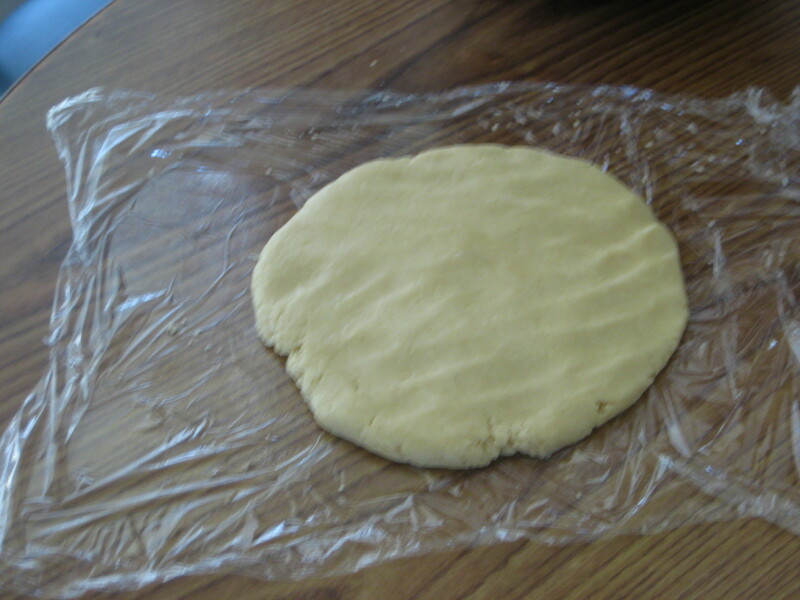 Step 13: Bake for 5 minutes. 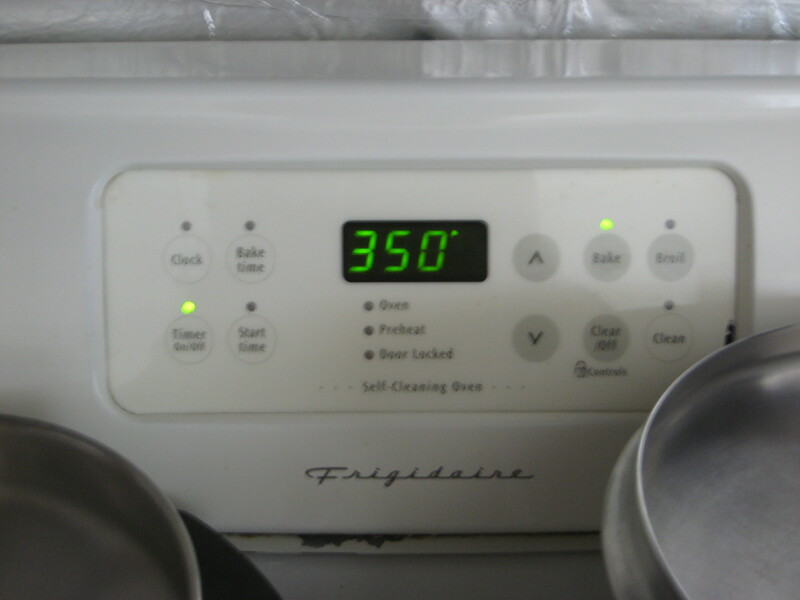 Step 14: Reduce heat to 350°F and continue to bake for 15 minutes or until dry and lightly golden brown. 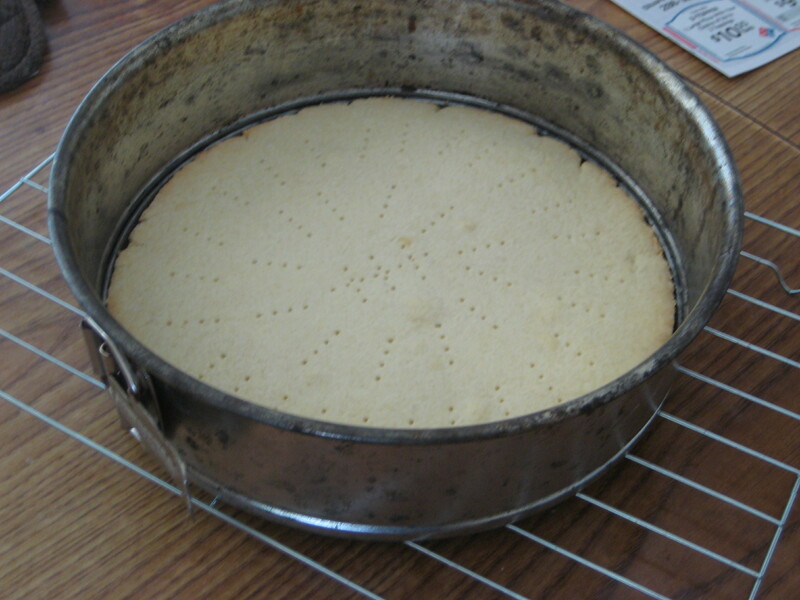 Step 15: Remove from oven and place on wire rack to cool completely before removing from pan.